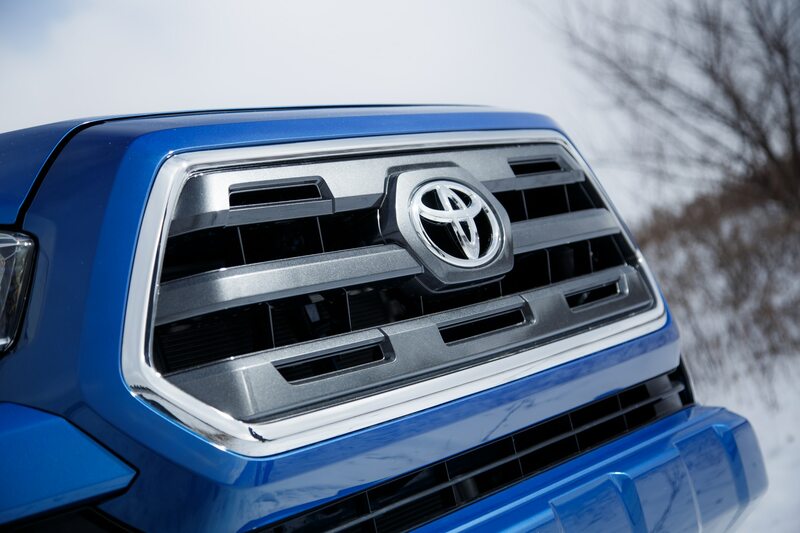 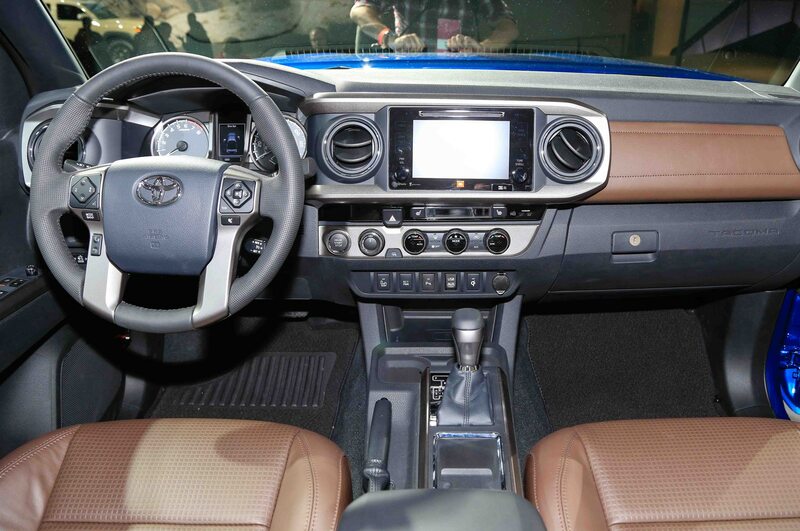 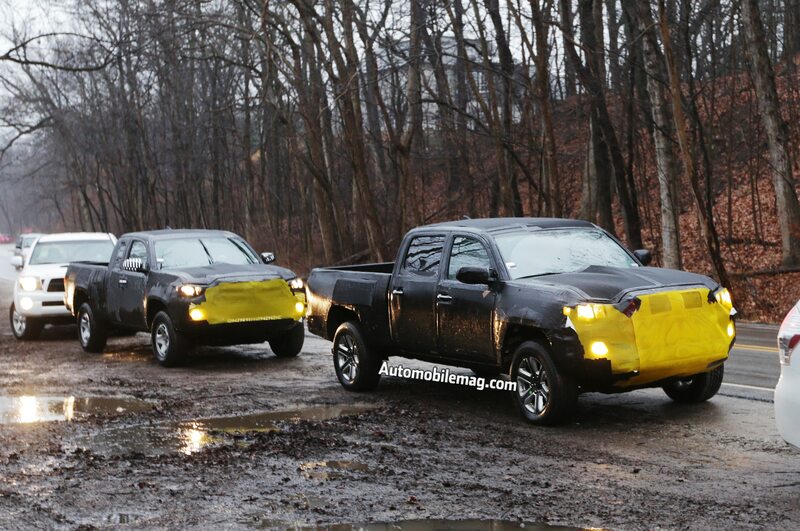 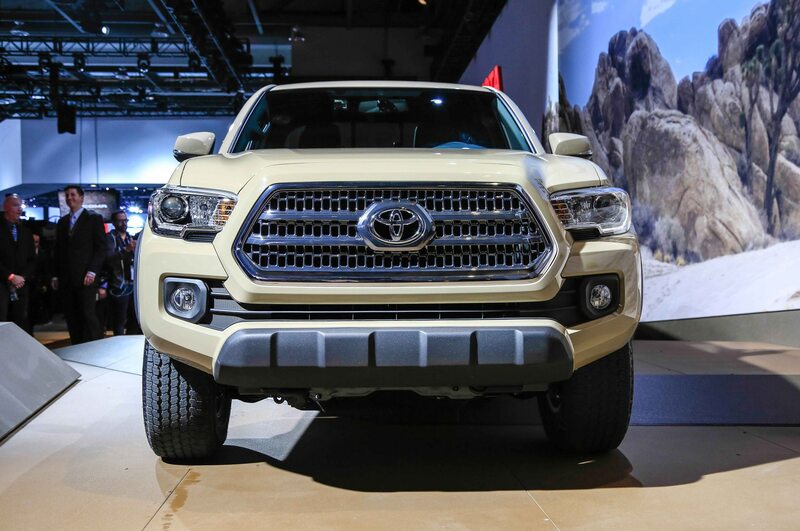 After going a decade without a redesign, the new 2016 Toyota Tacoma goes on sale next month. 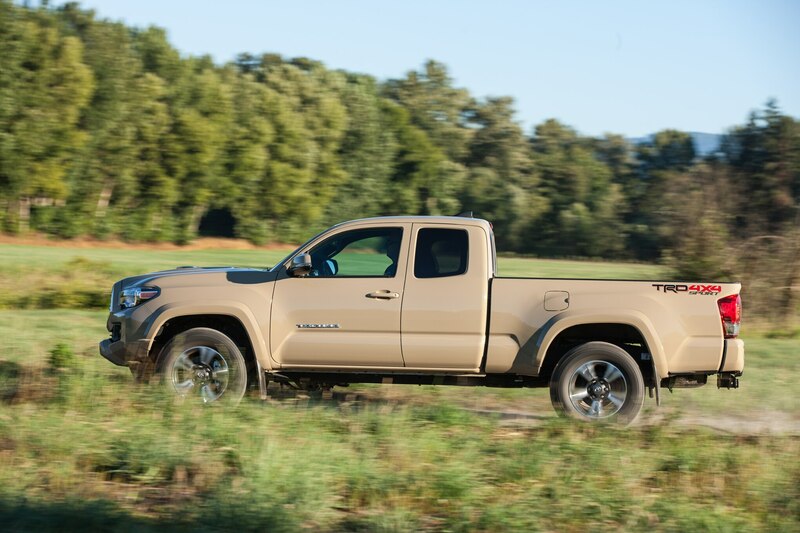 Prices start at $24,200, or $2,350 more than last year’s model. 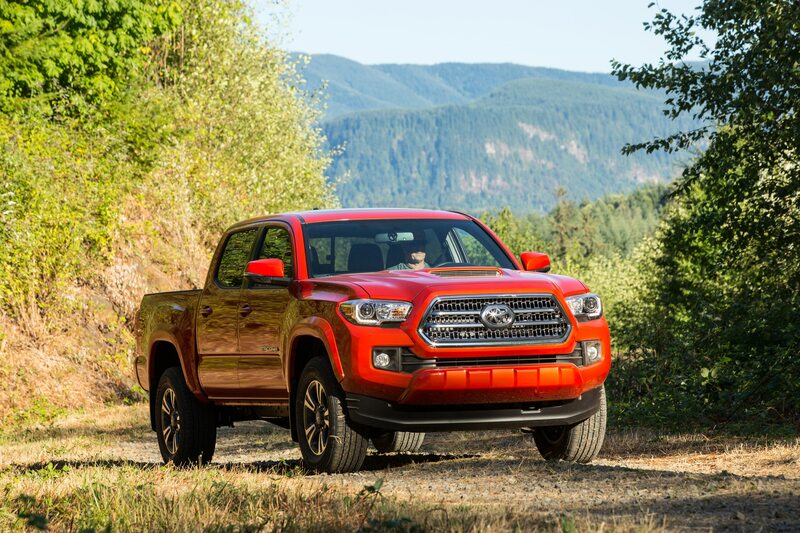 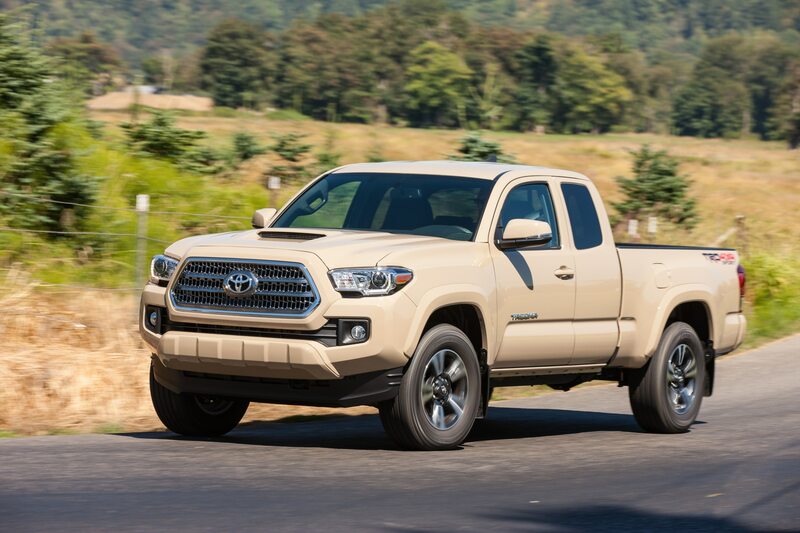 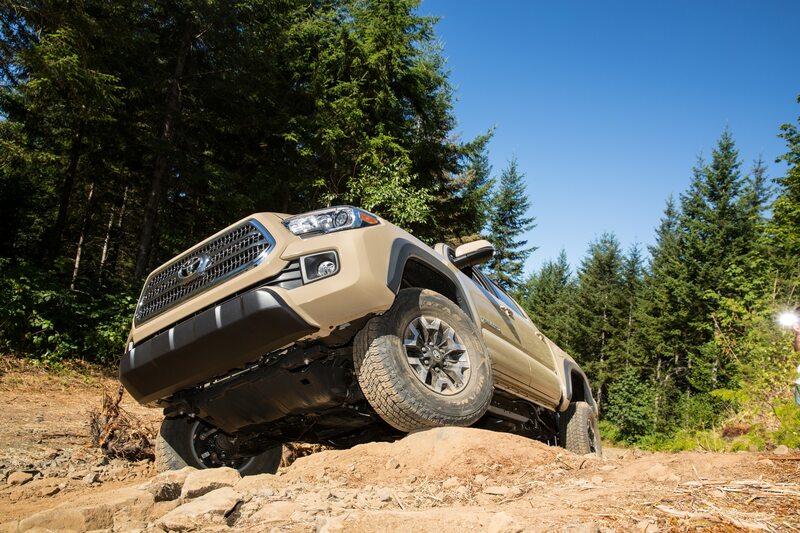 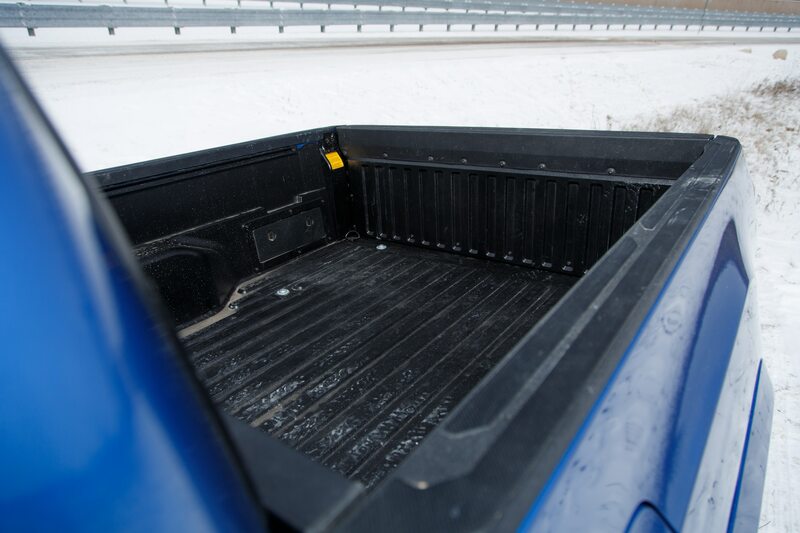 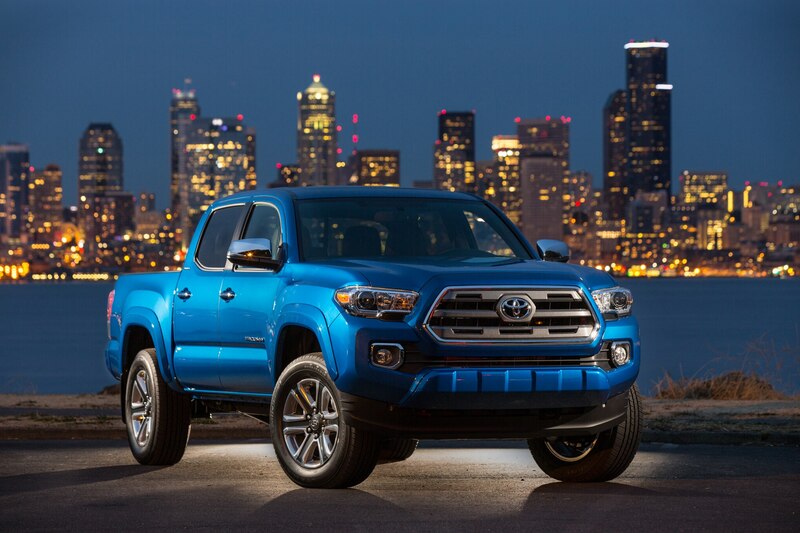 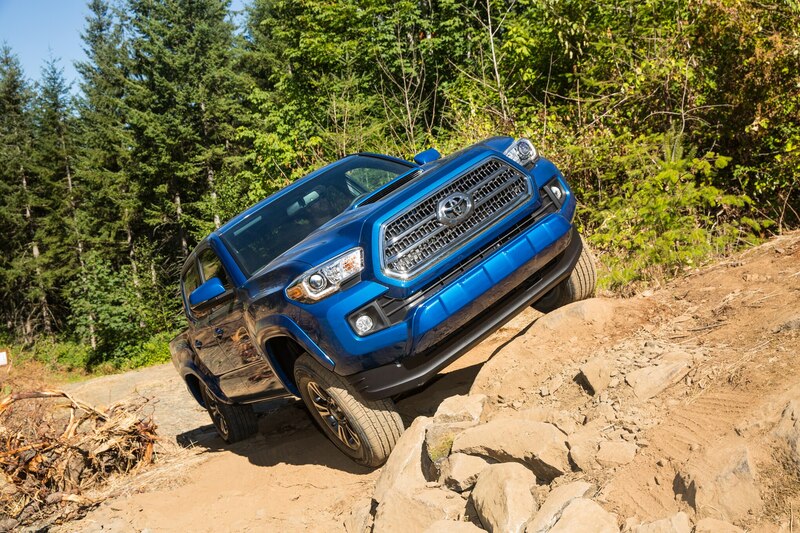 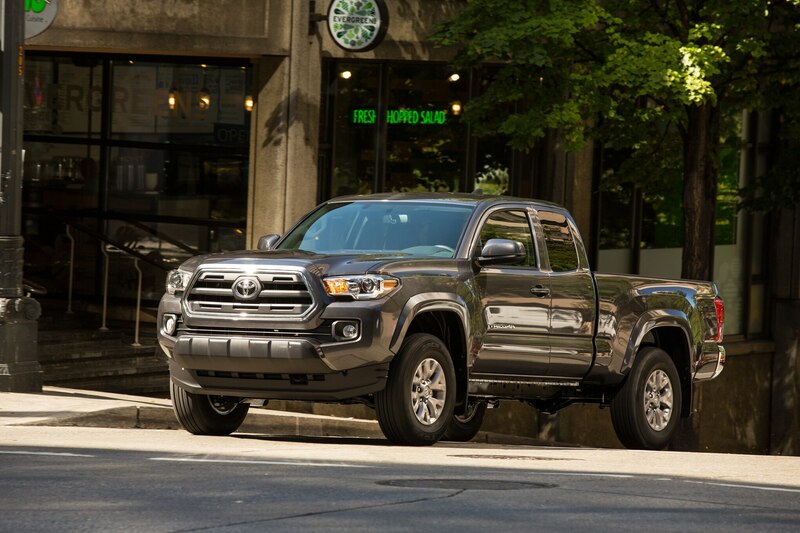 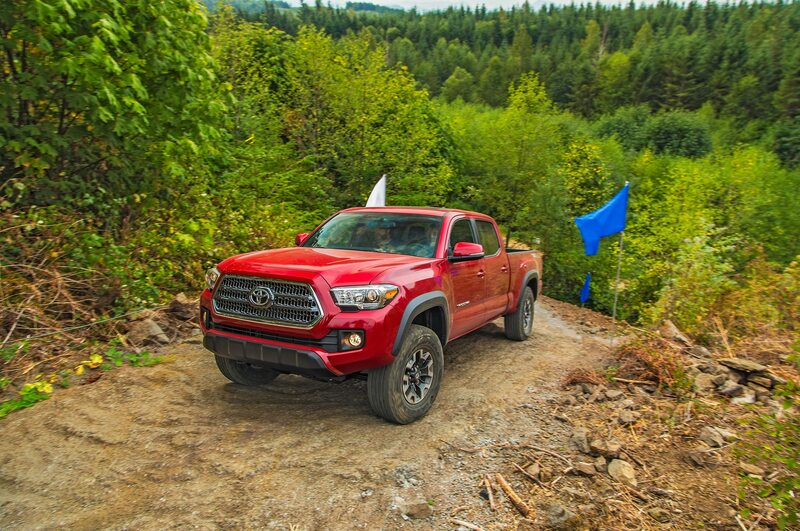 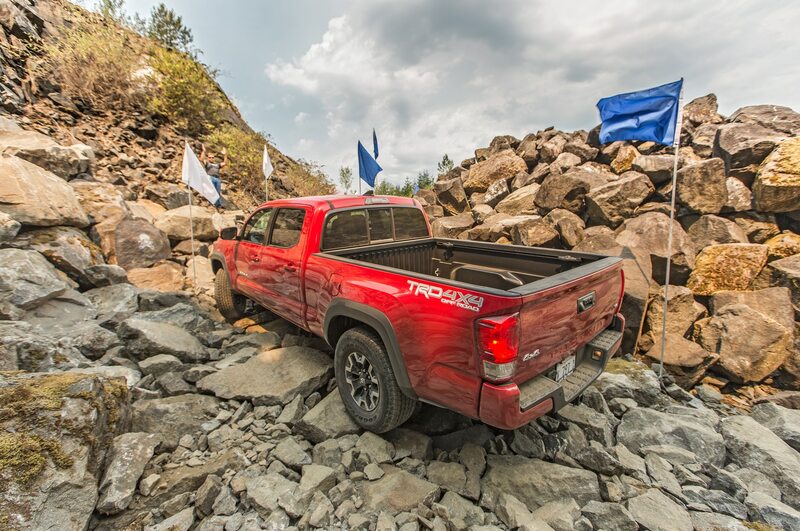 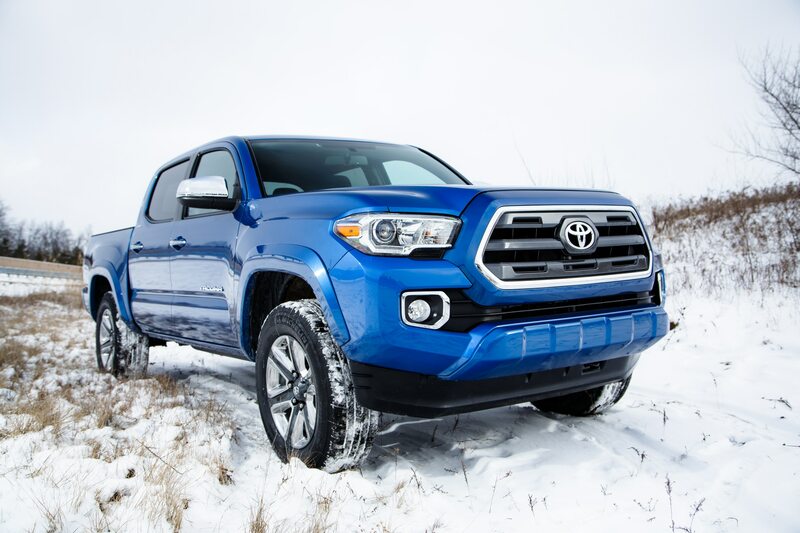 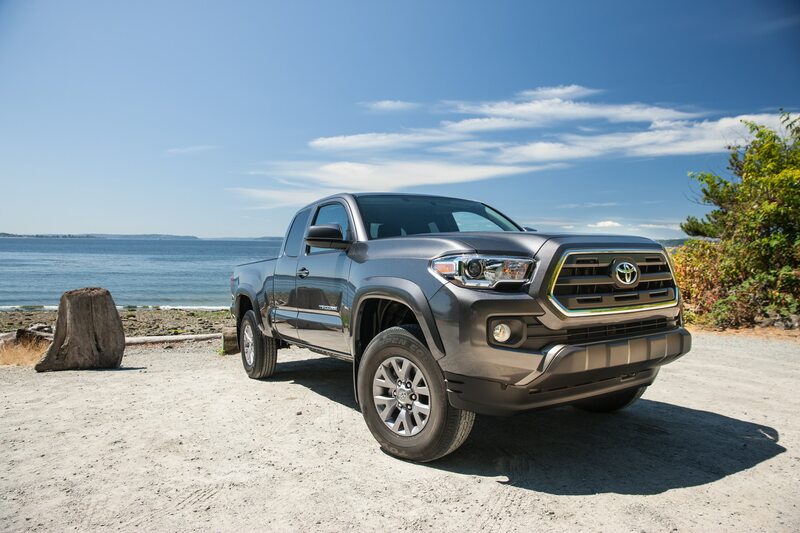 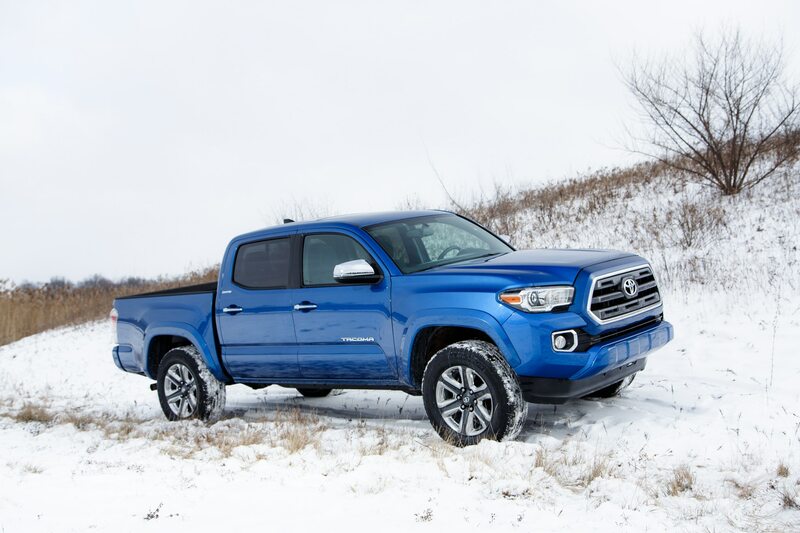 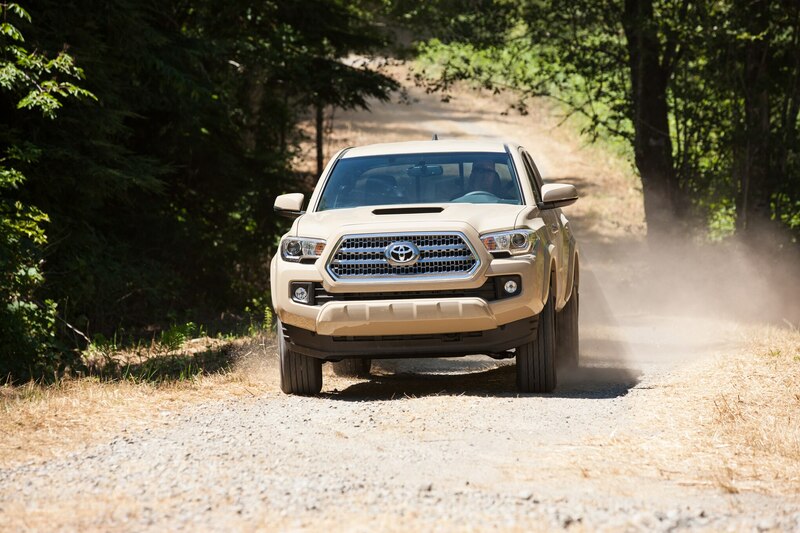 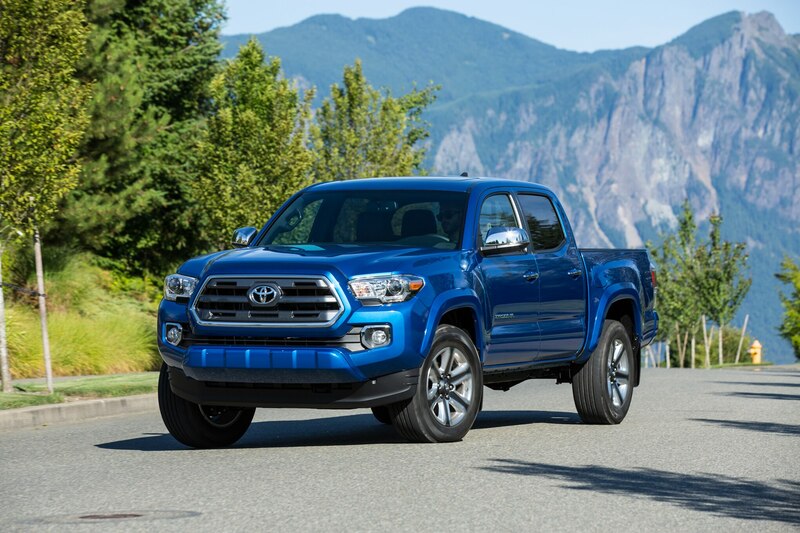 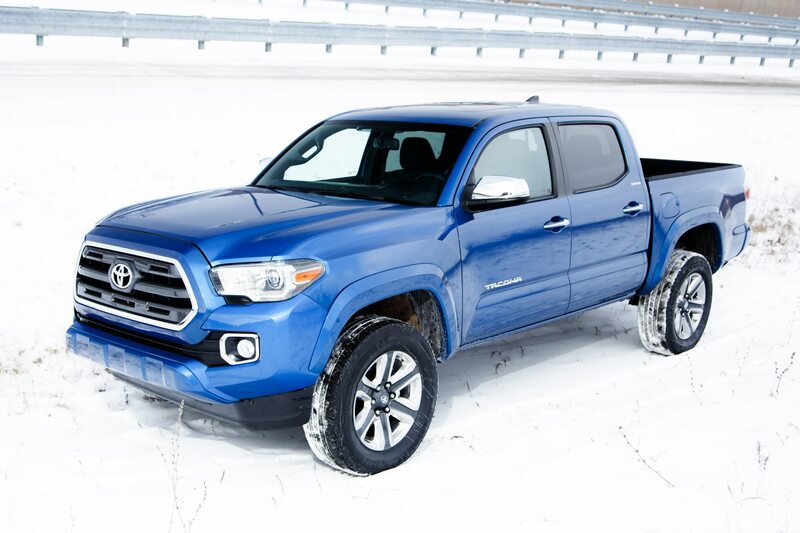 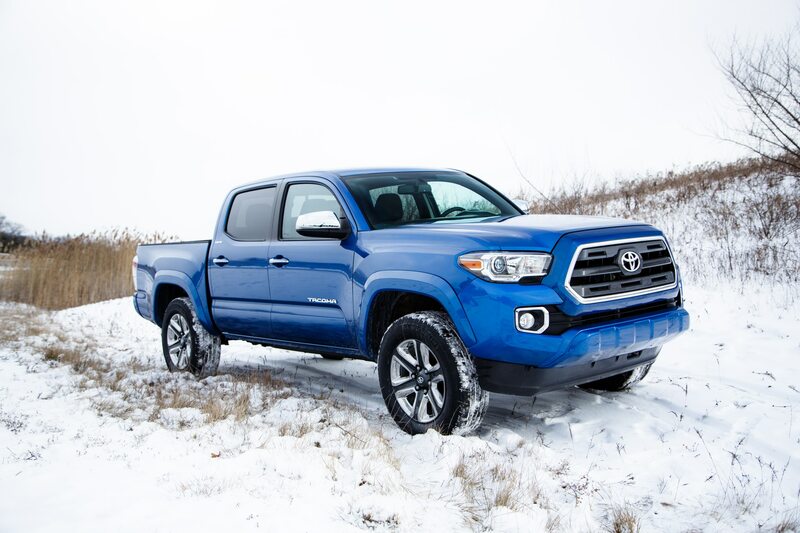 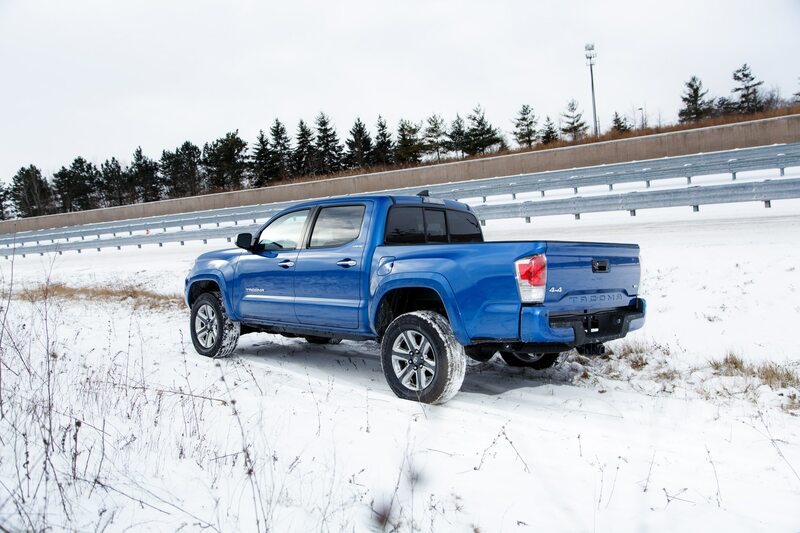 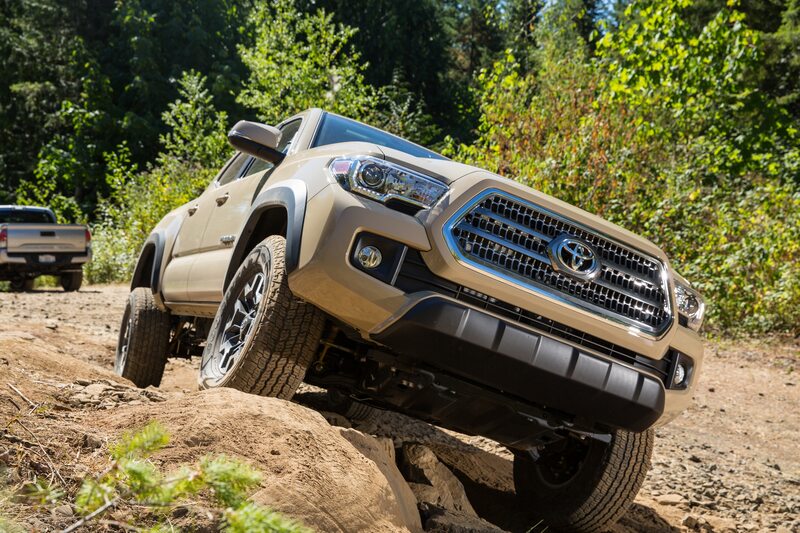 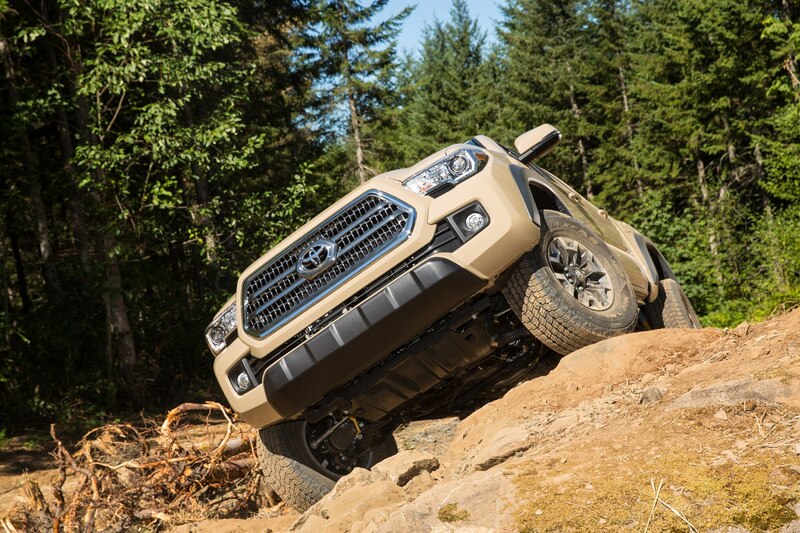 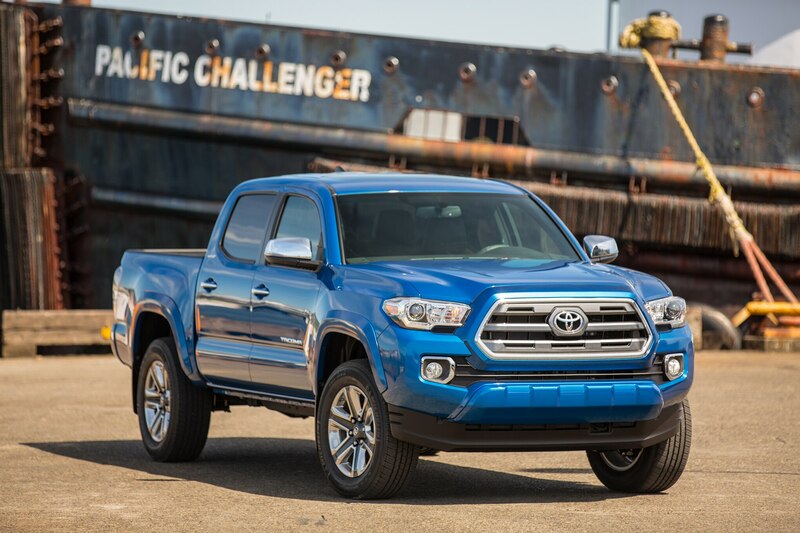 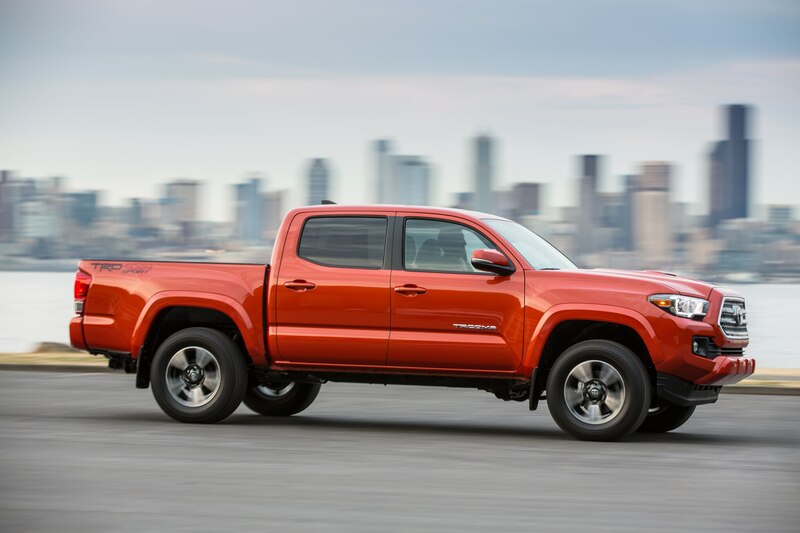 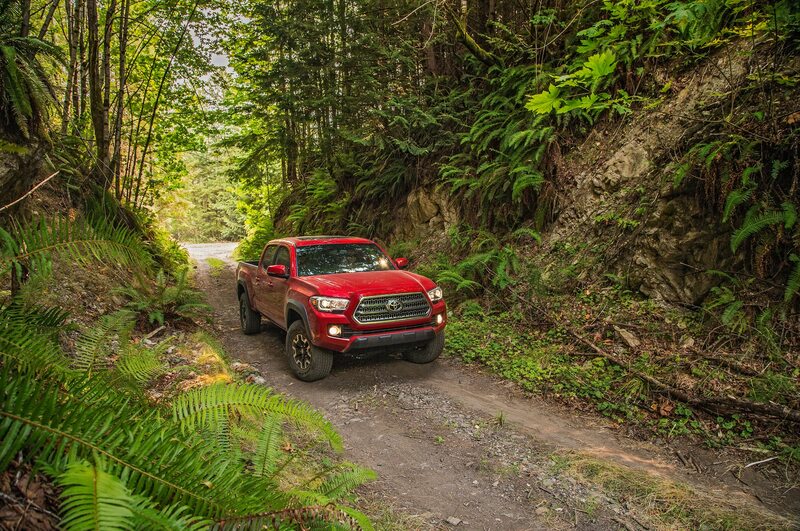 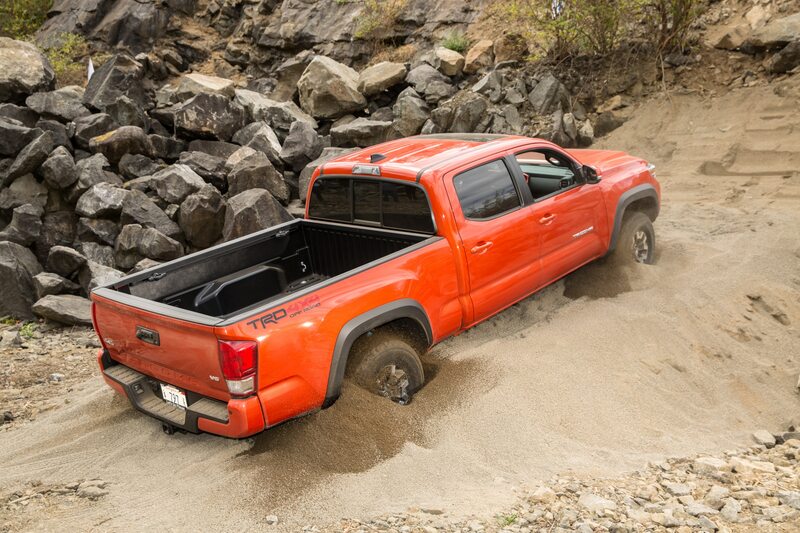 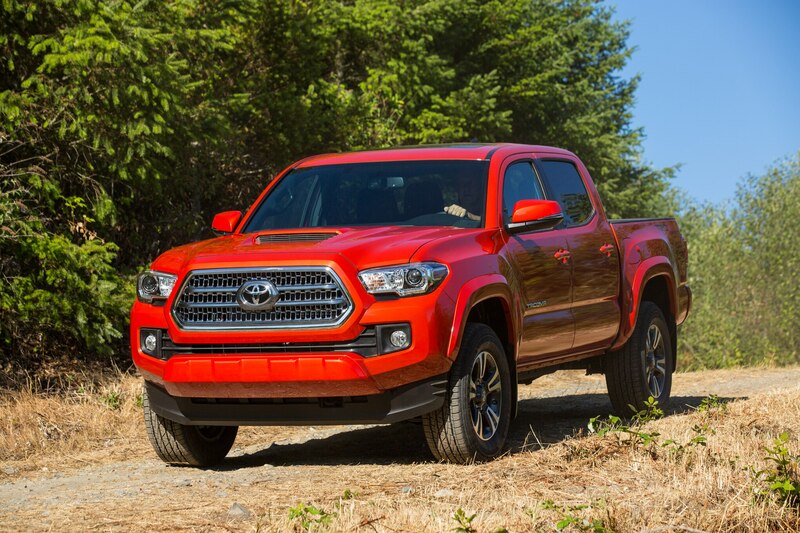 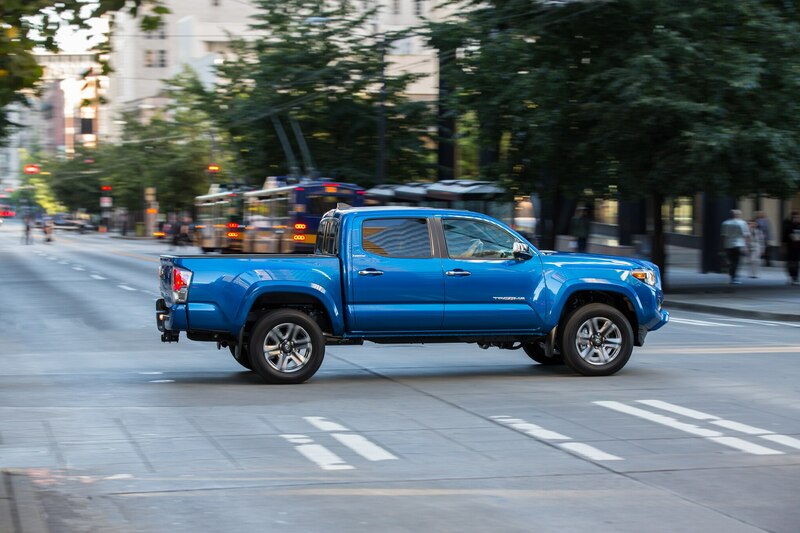 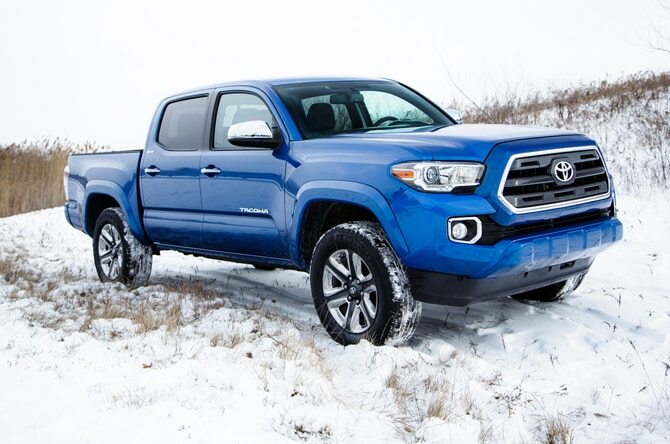 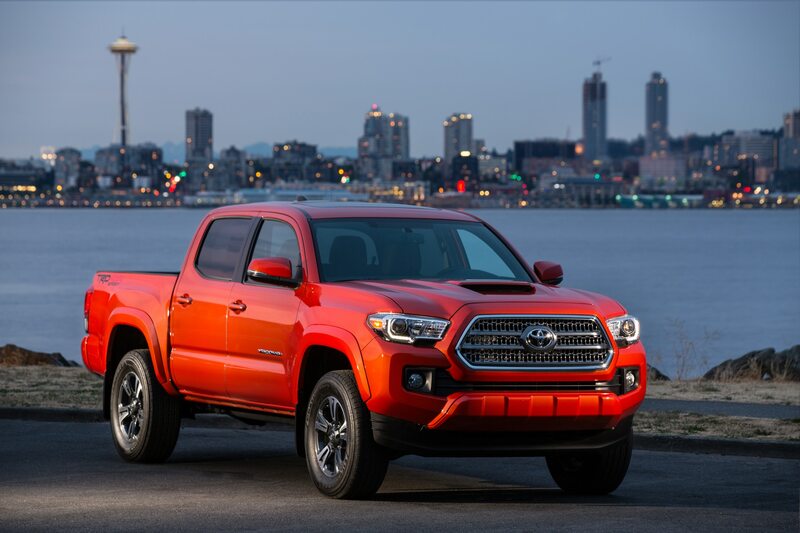 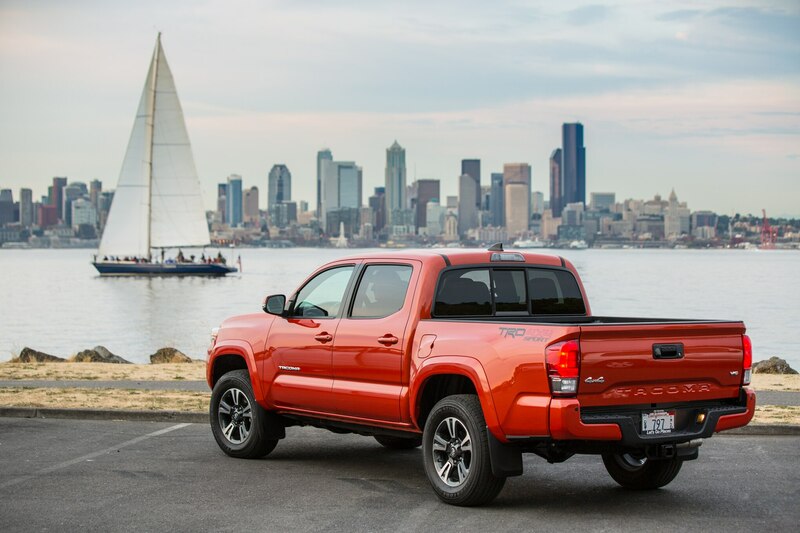 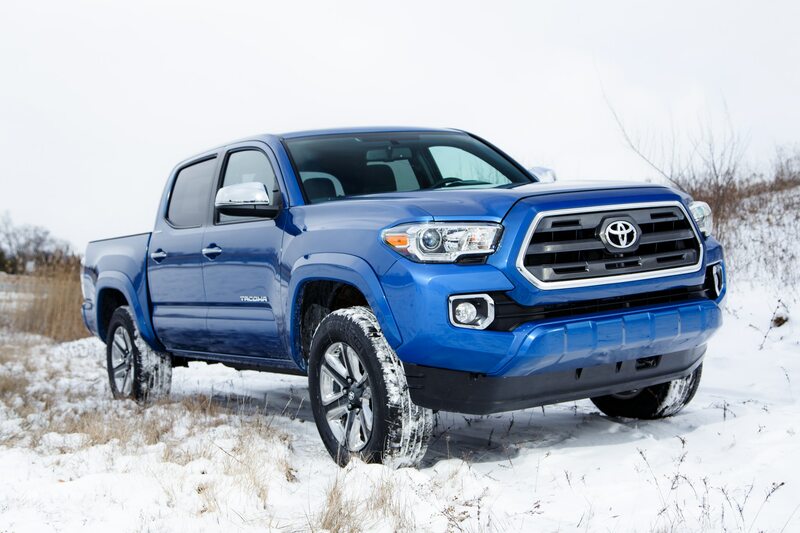 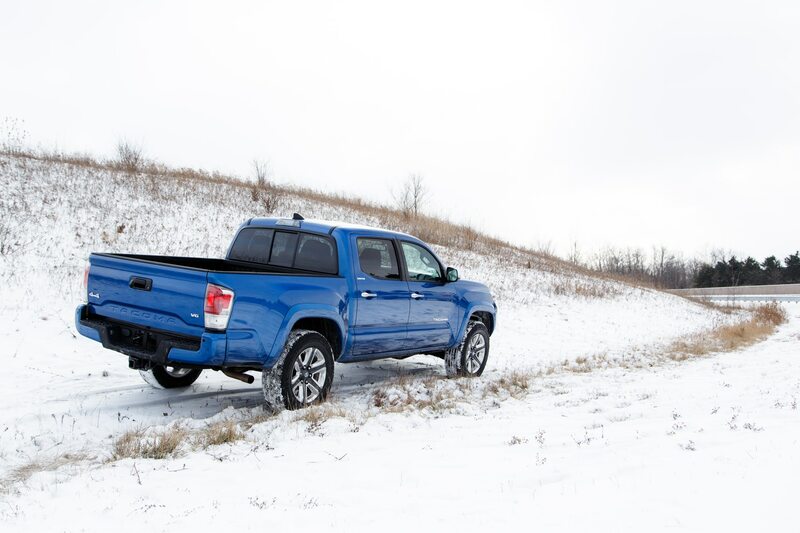 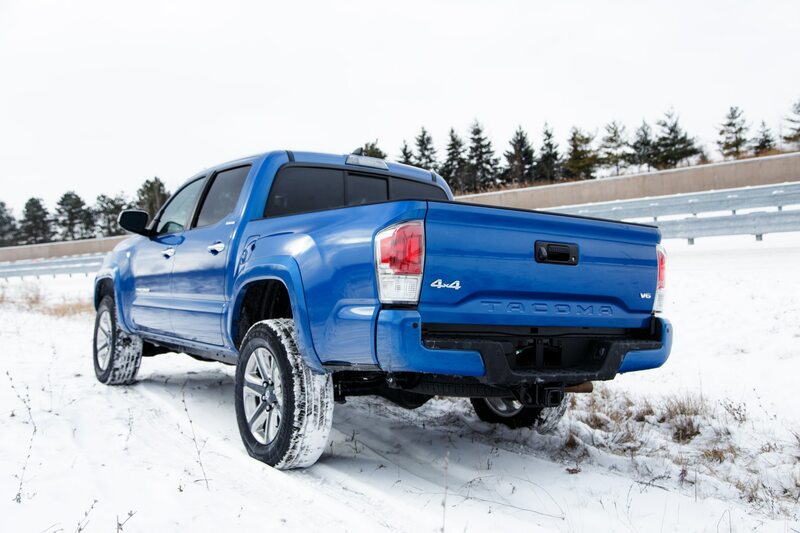 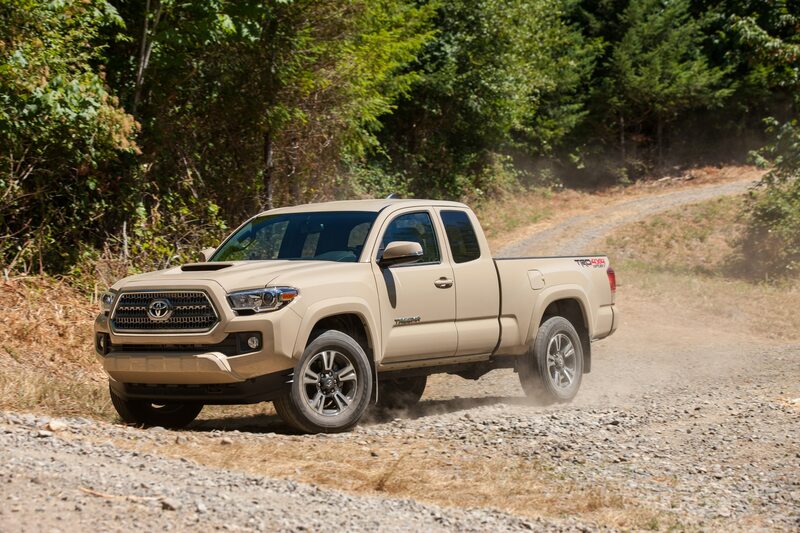 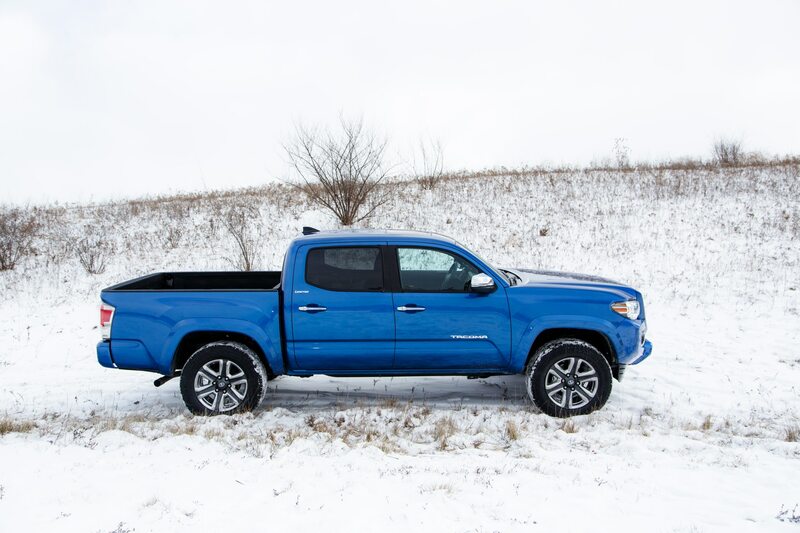 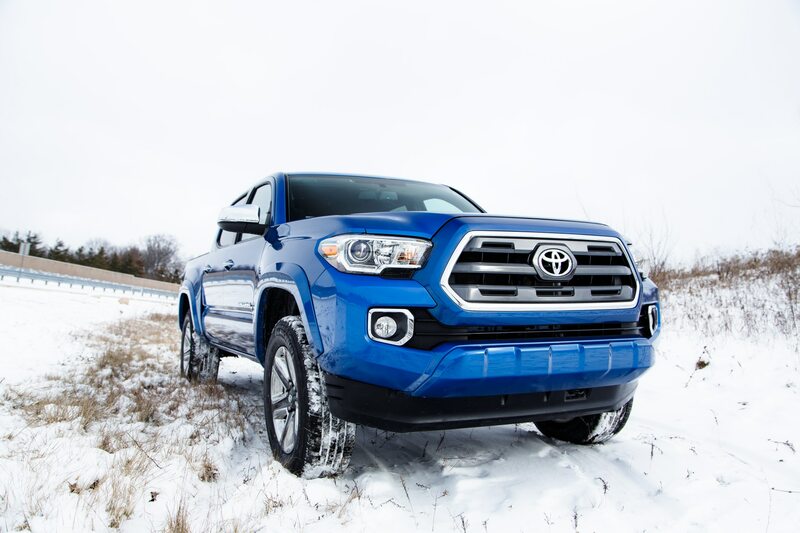 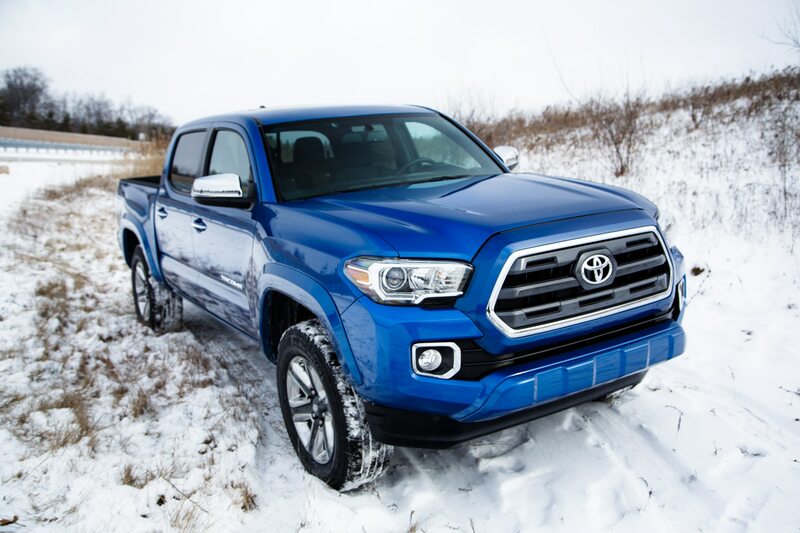 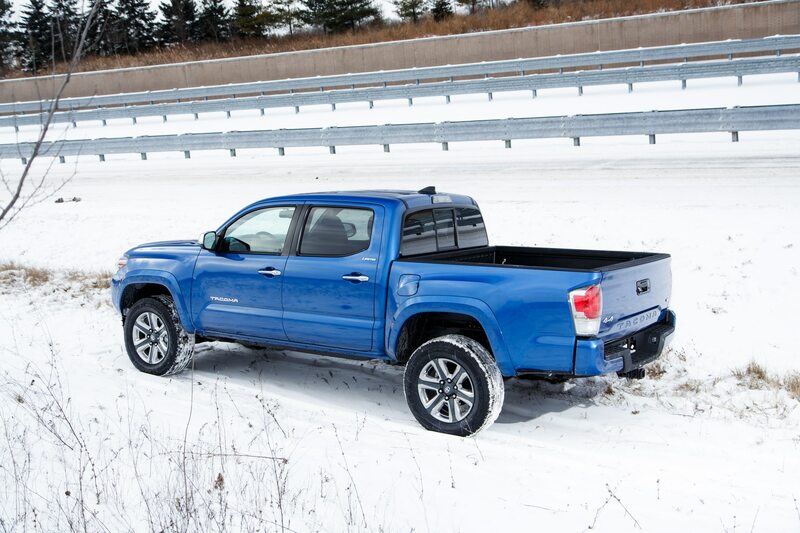 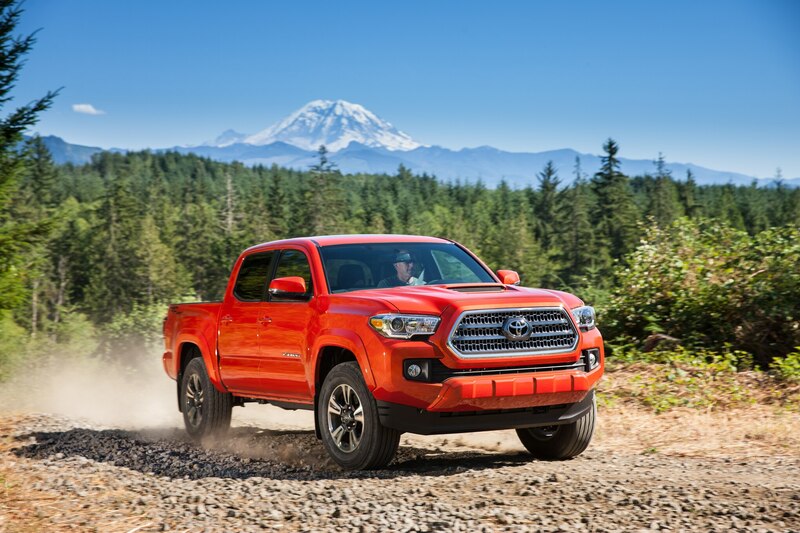 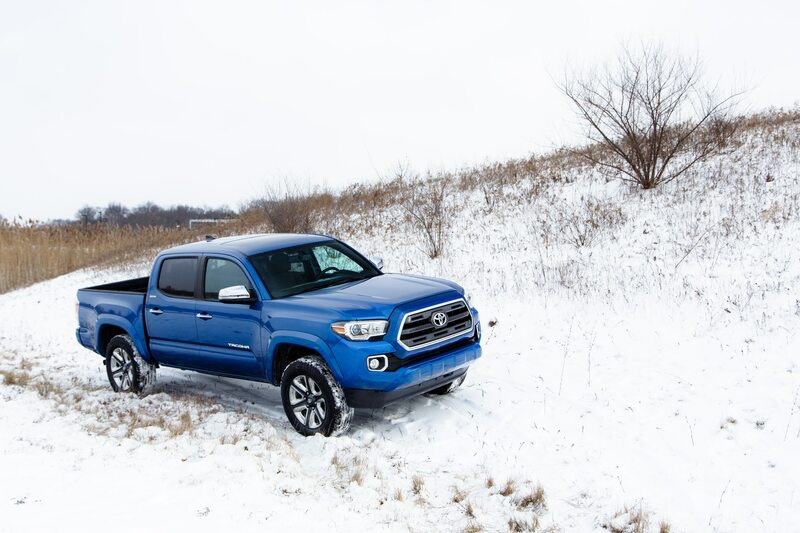 The most basic Tacoma is a two-wheel-drive SR Access Cab paired with a 2.7-liter four-cylinder engine. 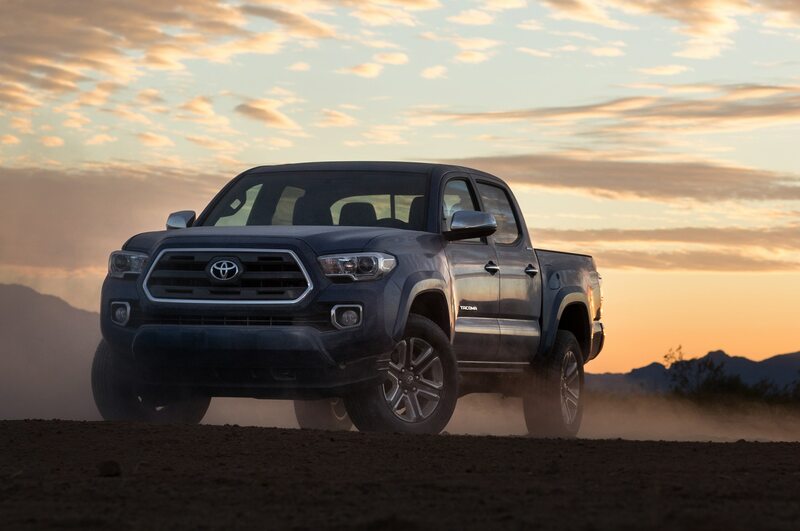 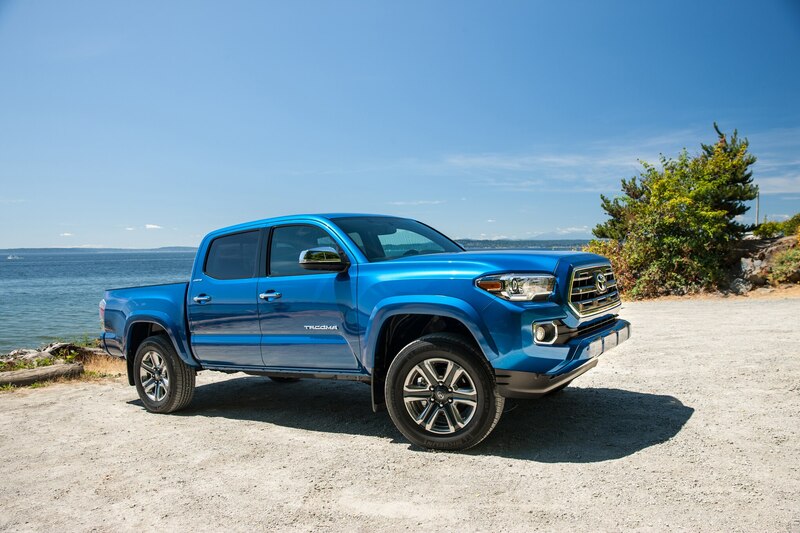 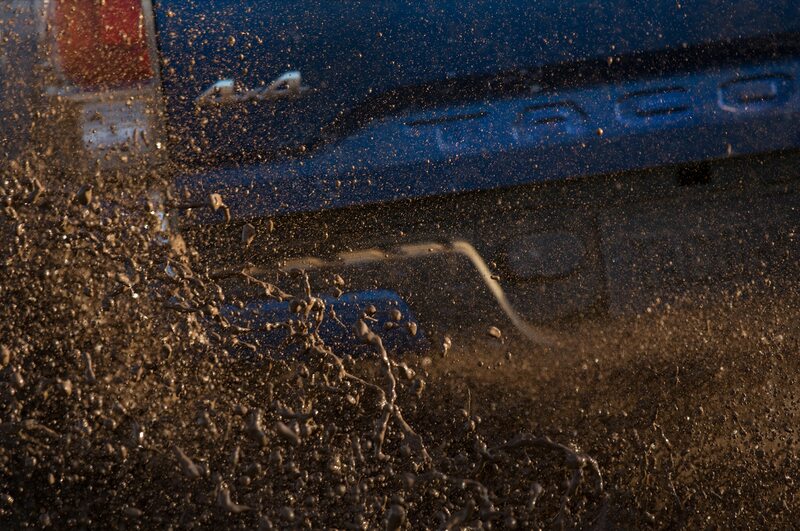 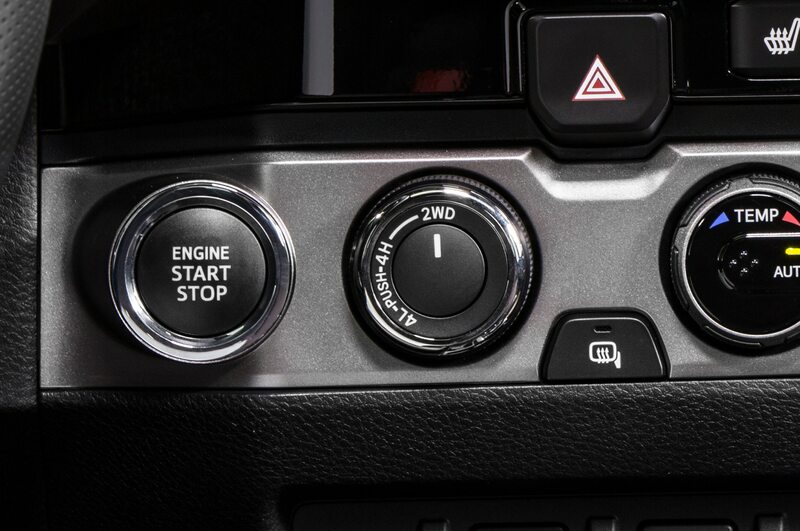 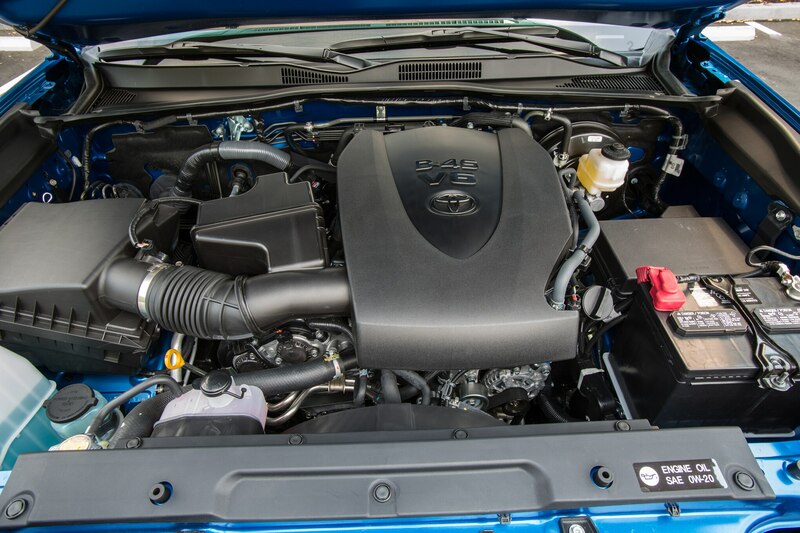 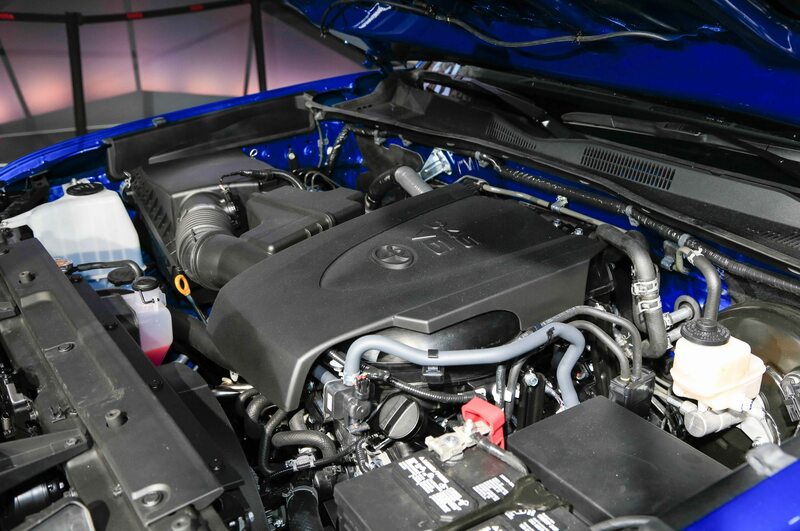 No longer is this stripped-down configuration of the Tacoma available with a five-speed manual; it instead comes exclusively with a six-speed automatic. 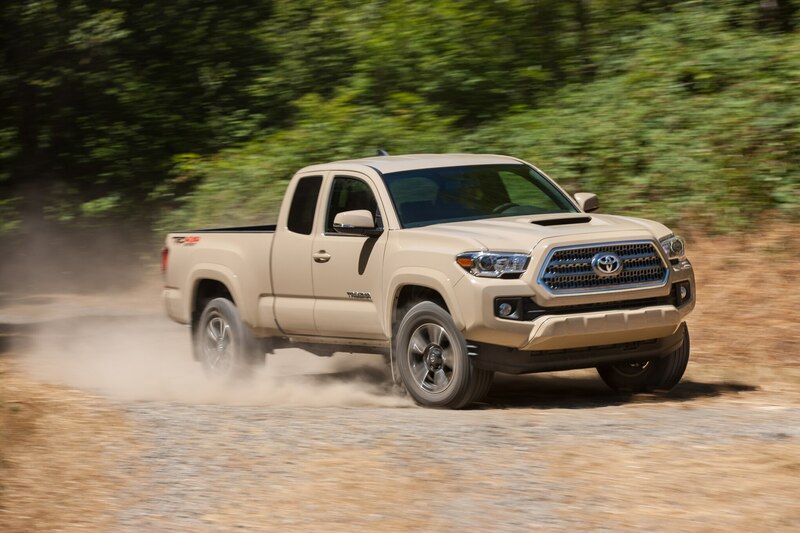 Double cab SR models start at $25,030, while 3.5-liter V-6 models go for $25,810. 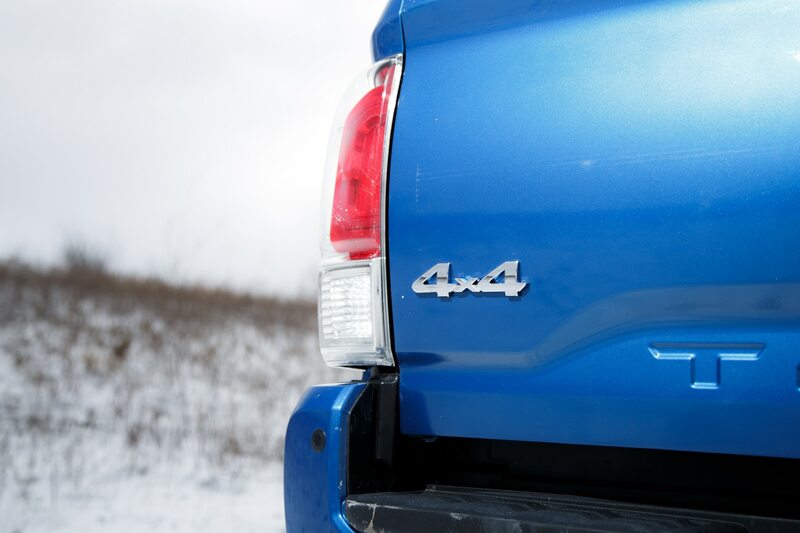 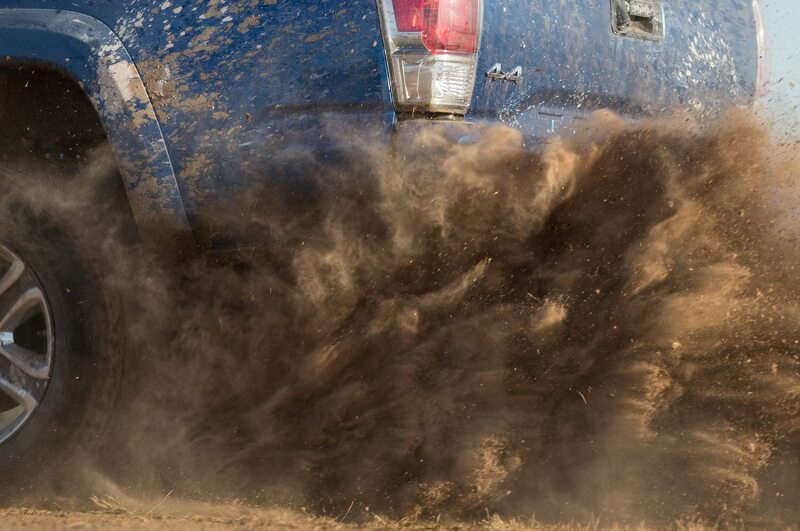 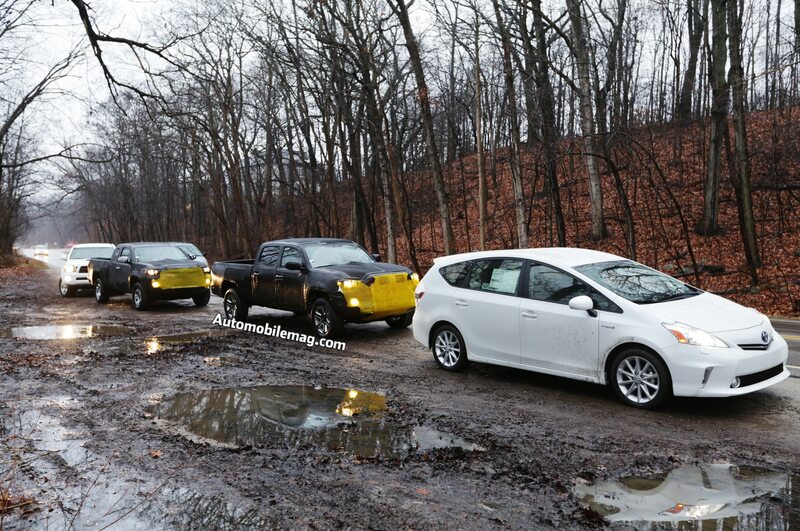 Four-wheel-drive trucks with the standard five-speed manual start at $25,725. 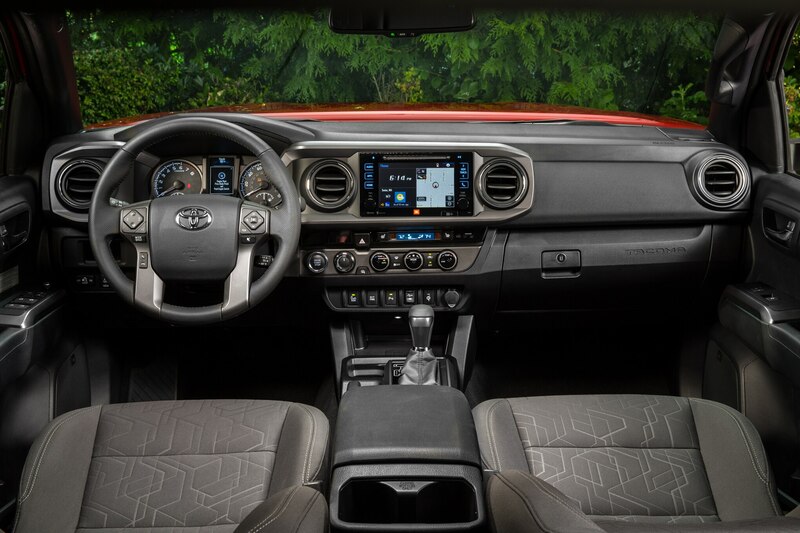 Standard features on all SRs include a 6.1-inch touchscreen, six speakers, AM/FM CD player, Siri Eyes Free, backup camera, USB port, and hands-free phone capability. 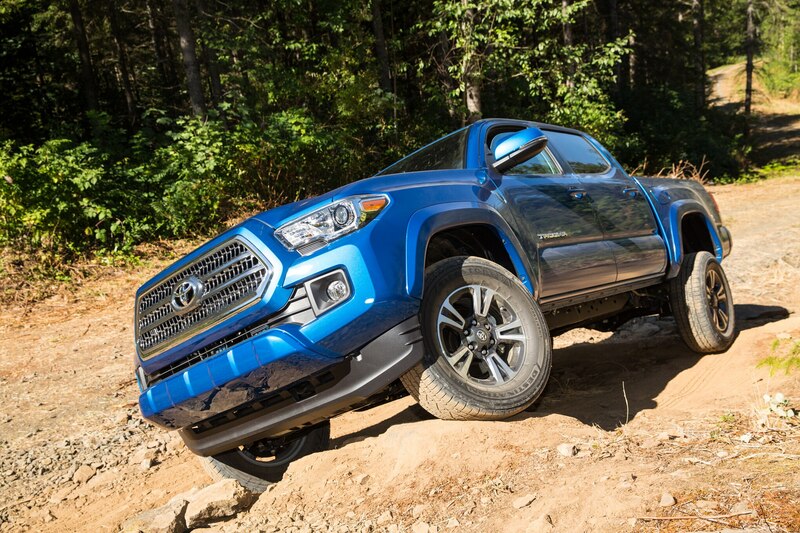 Stepping up to the SR5 grade brings prices up to $26,285. 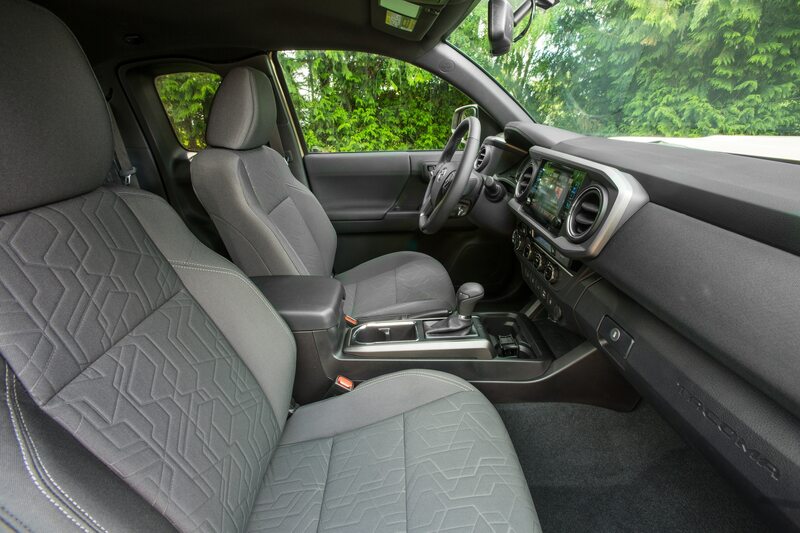 These models come equipped with Entune Audio Plus with a high-resolution display, Connected Navigation Scout GPS Link App, SiriusXM All-Access Radio, and HD Traffic and Weather. 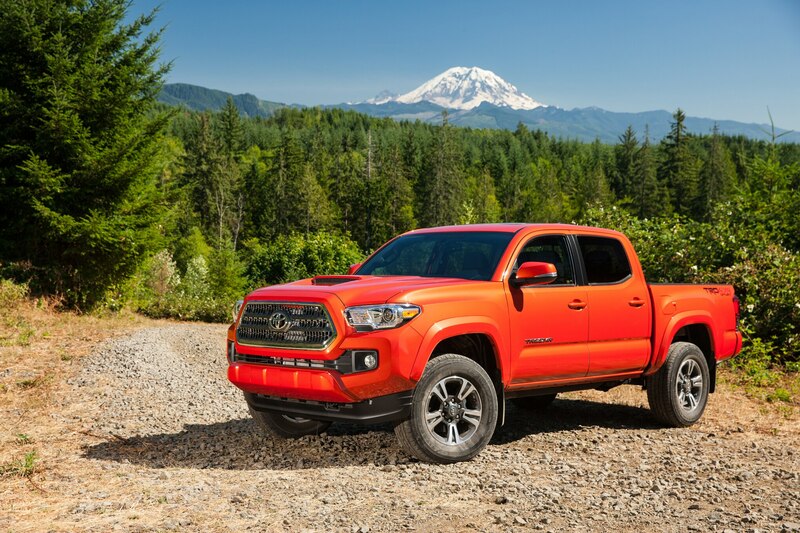 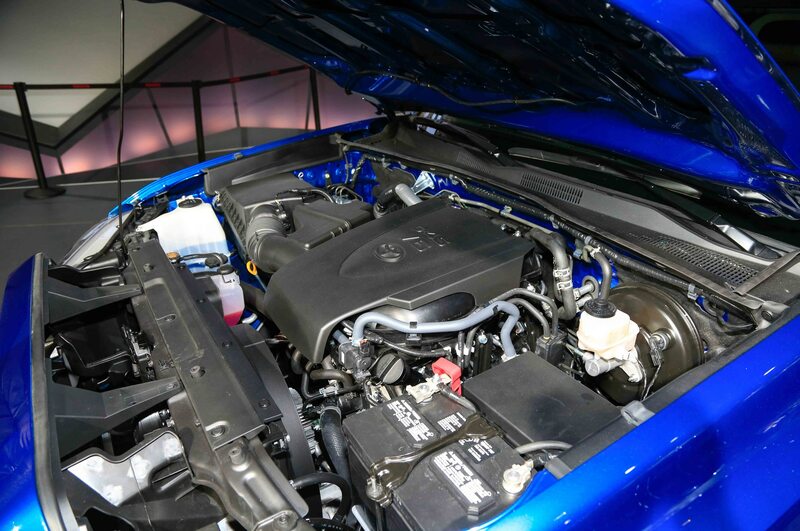 TRD models, which come standard with the new V-6 engine, start at $30,565 for the TRD Sport. 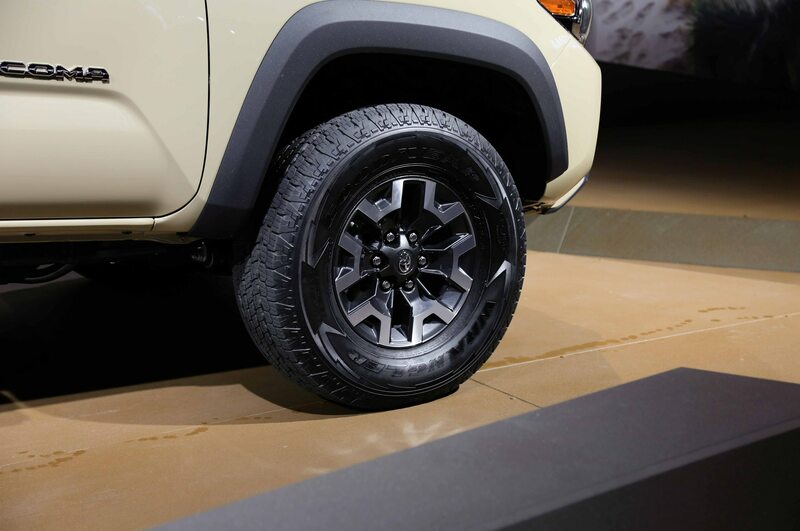 Models in this category offer sport-tuned shocks and specially embossed interior fabric. 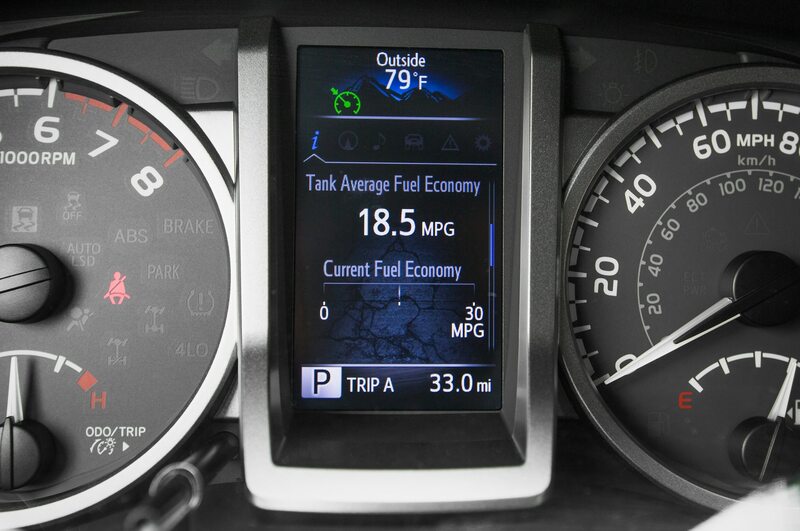 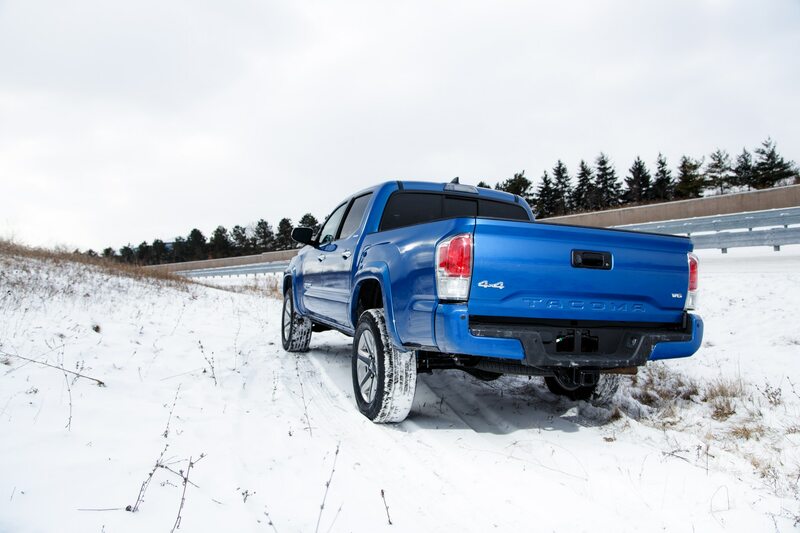 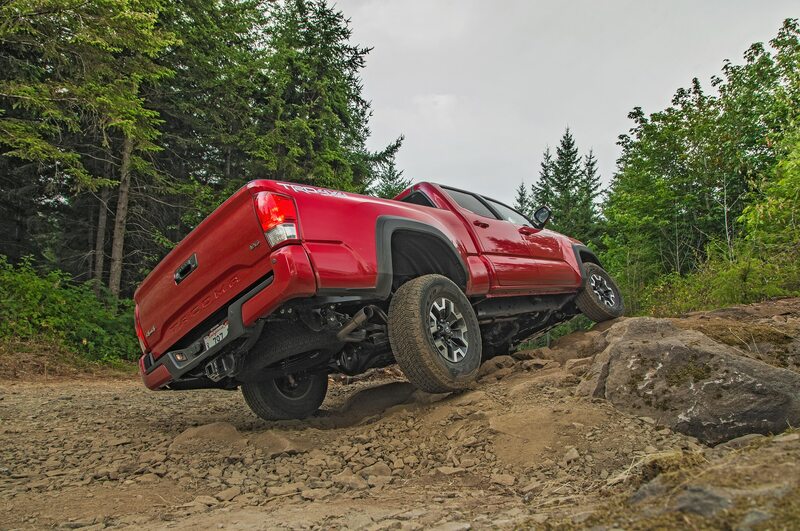 Opting for the TRD Off-Road, which comes in a standard double cab configuration, will set you back at least $31,665. 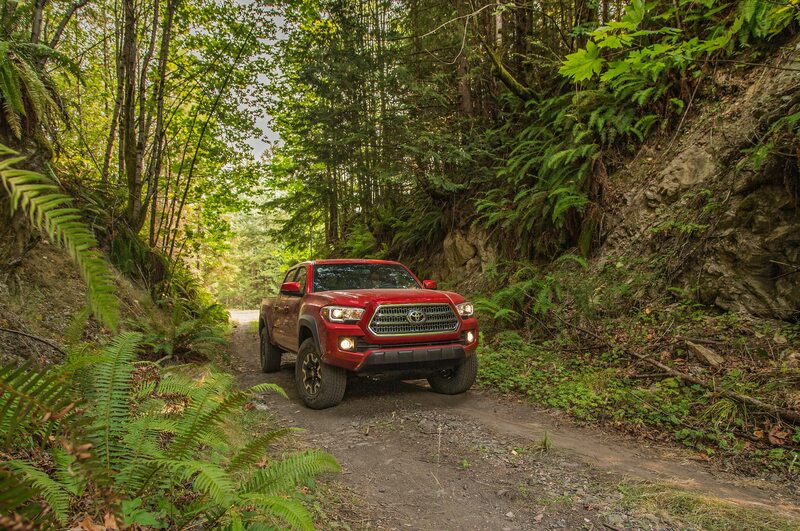 An off-road-tuned suspension with Bilstein shocks is just one of the upgrades you’ll find on the TRD model. 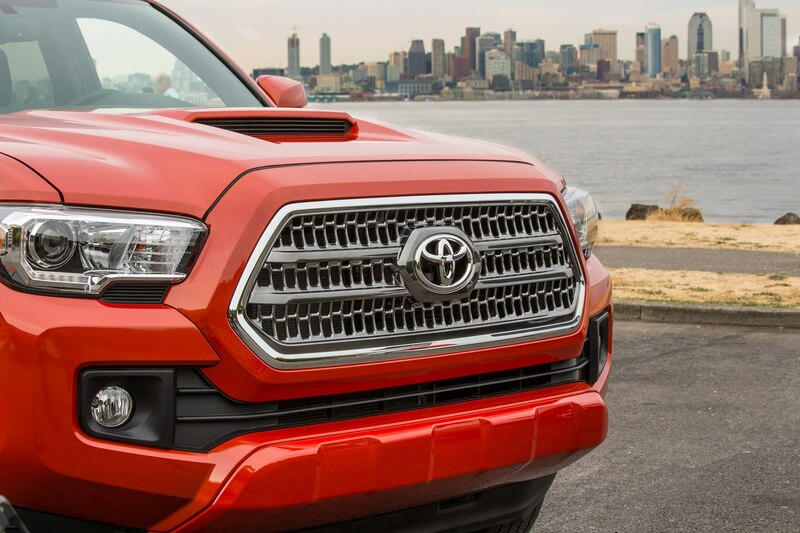 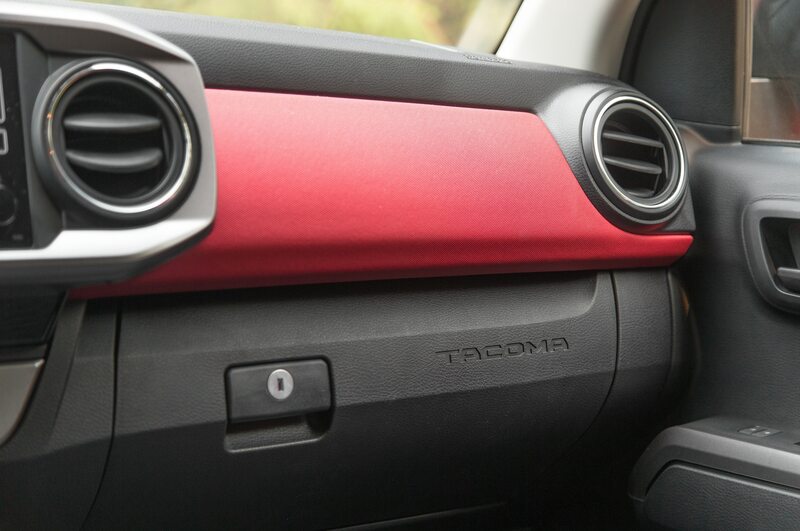 For the range-topping Tacoma Limited, buyers will need at least $35,645 to get into the gate. 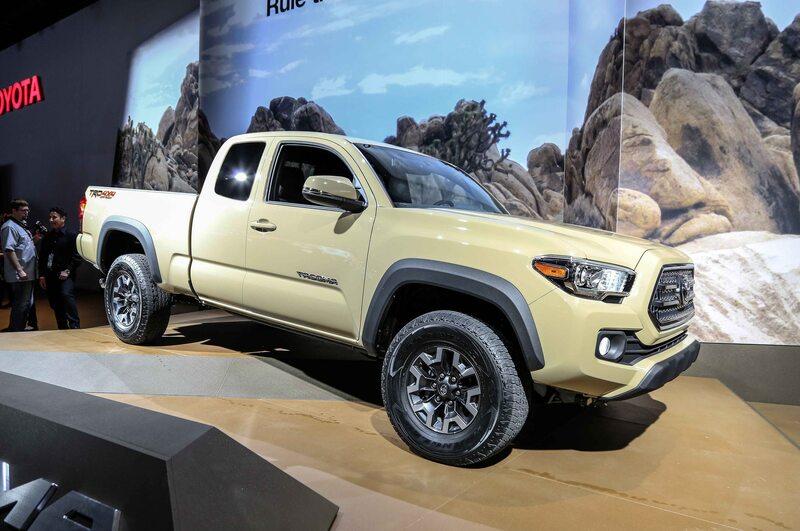 Double Cab Limited trucks, when paired with four-wheel-drive, are the most expensive Tacomas in the lineup at $38,720. 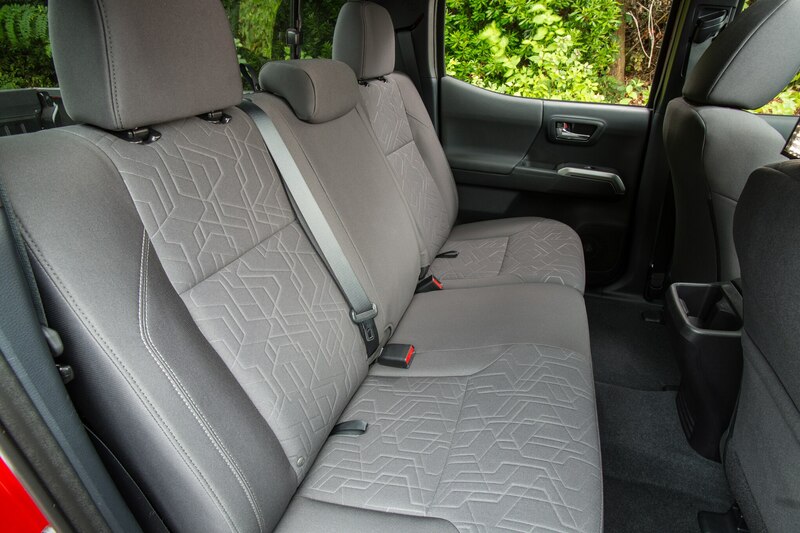 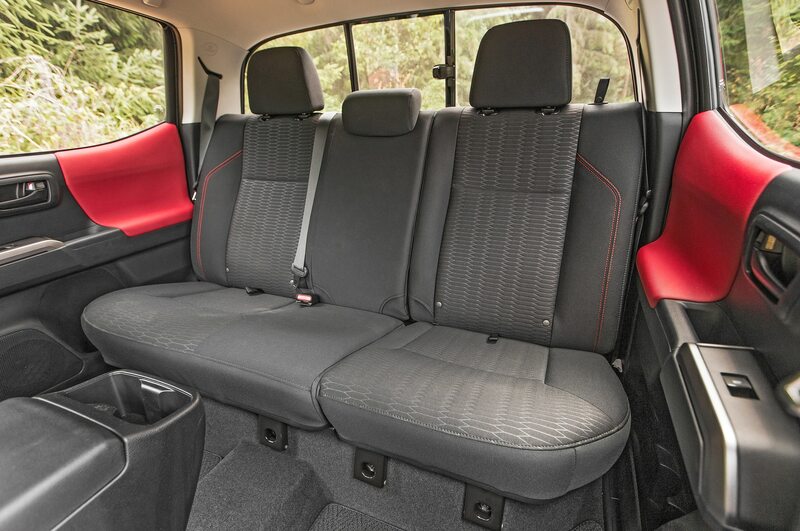 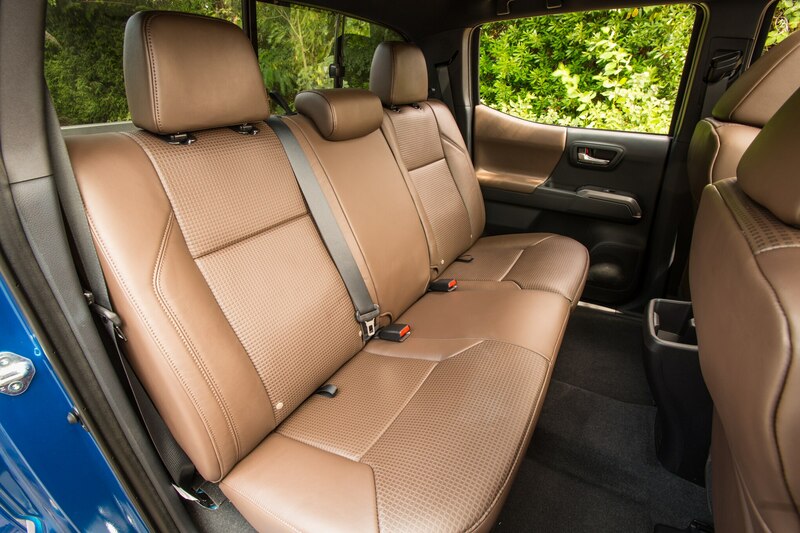 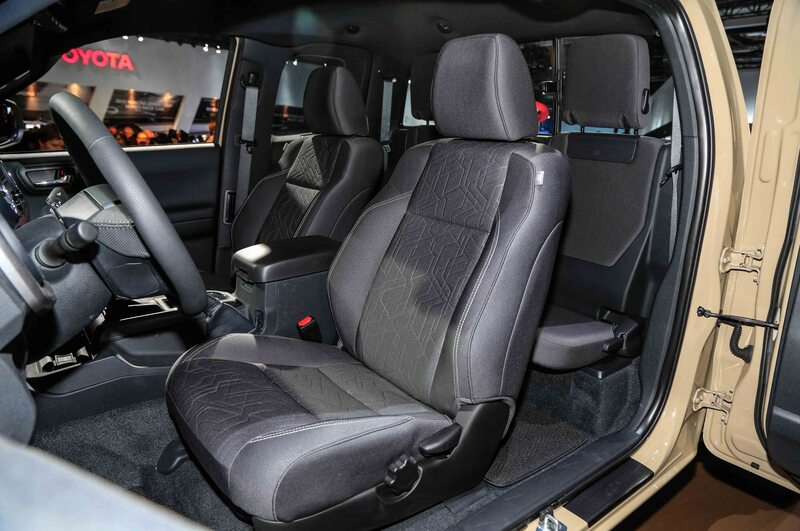 Models in the Limited trim level come with a hickory leather-trimmed interior, six JBL speakers, and a subwoofer. 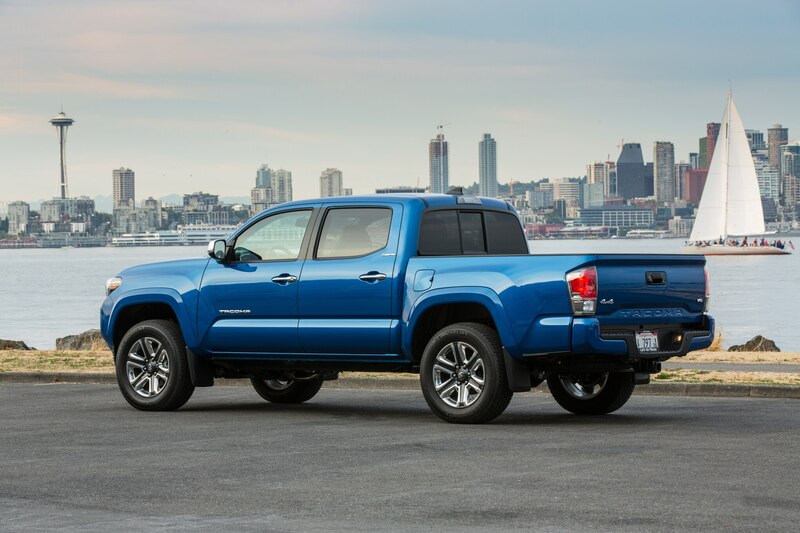 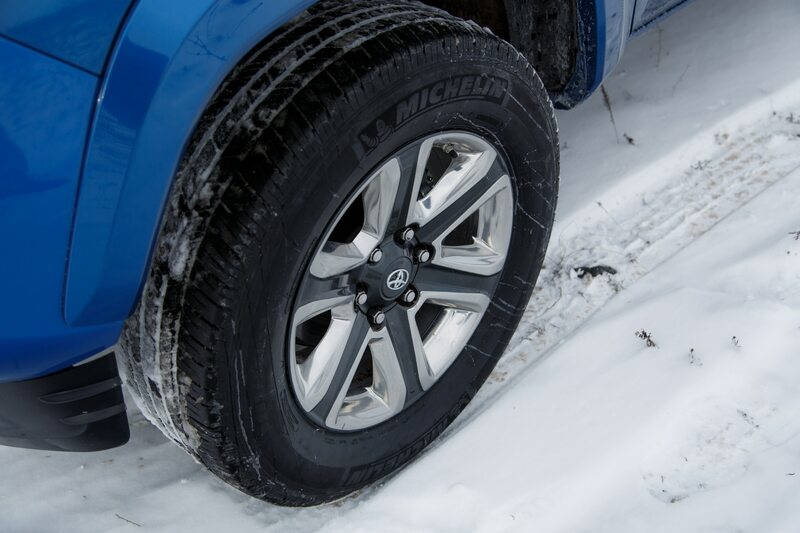 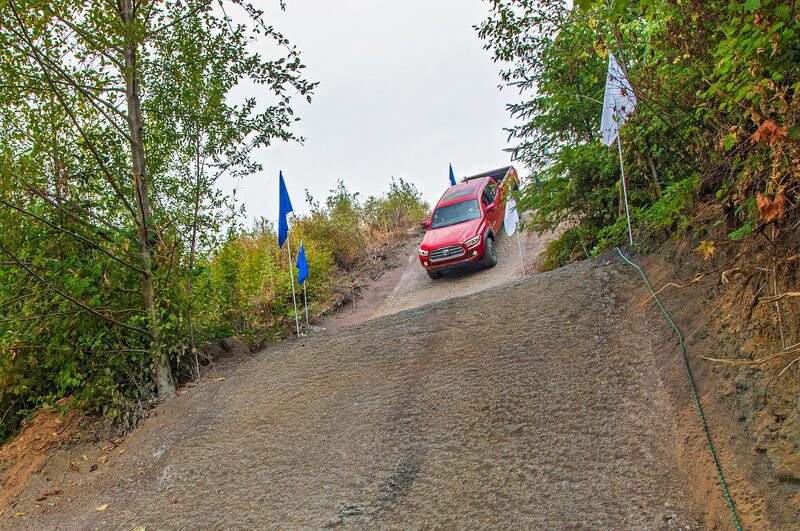 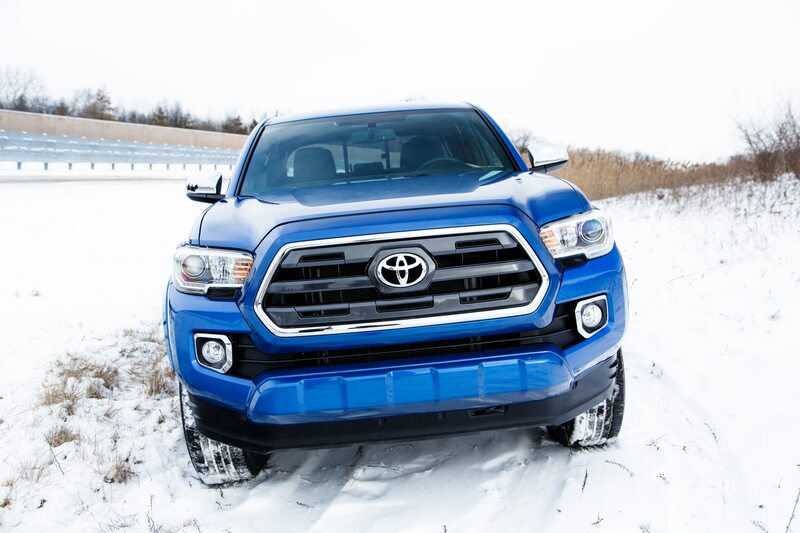 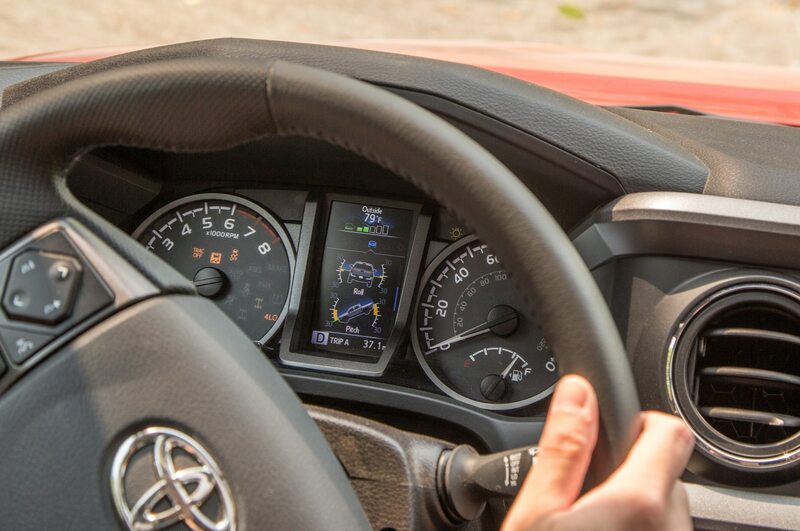 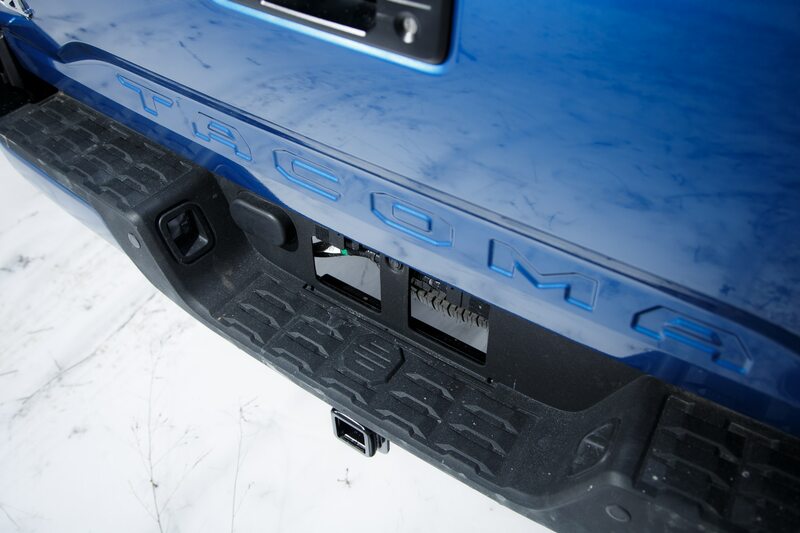 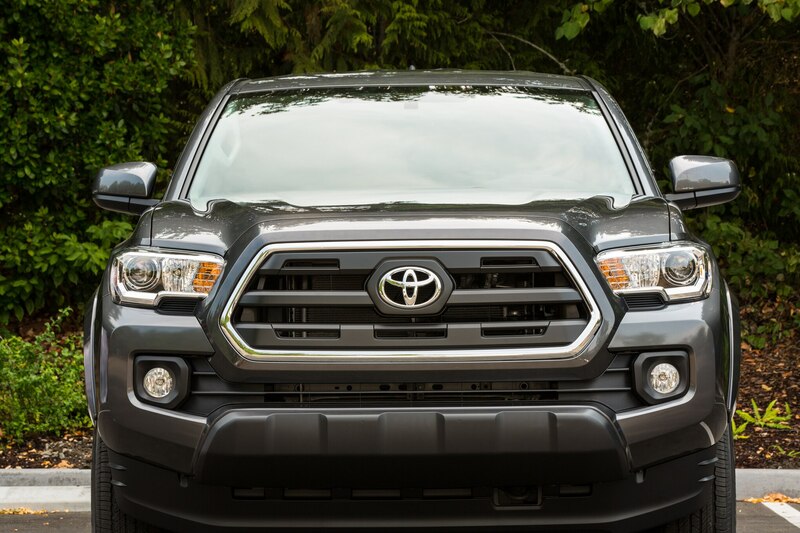 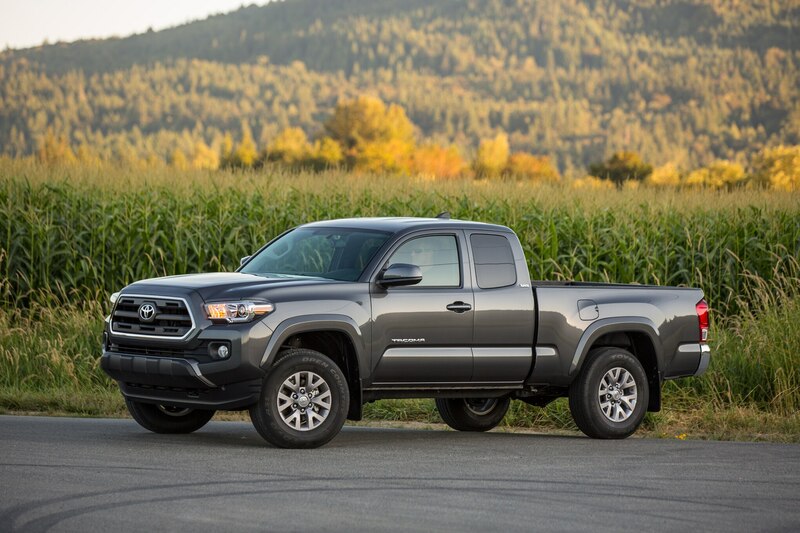 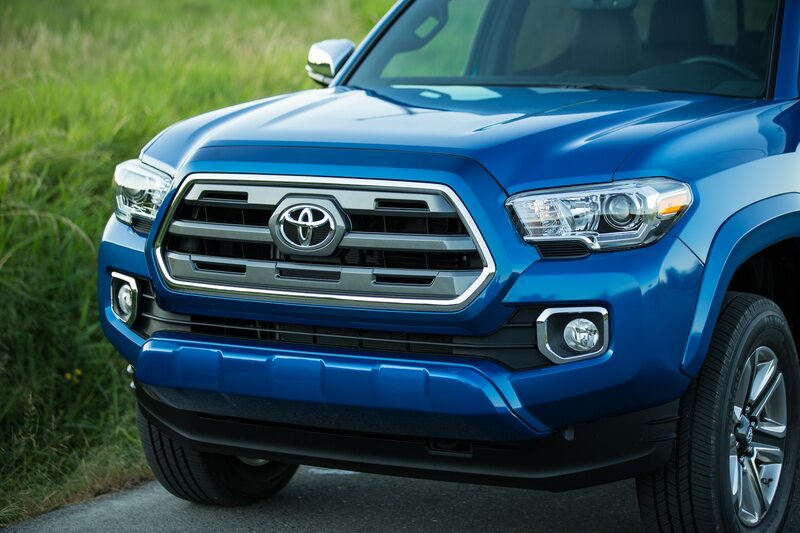 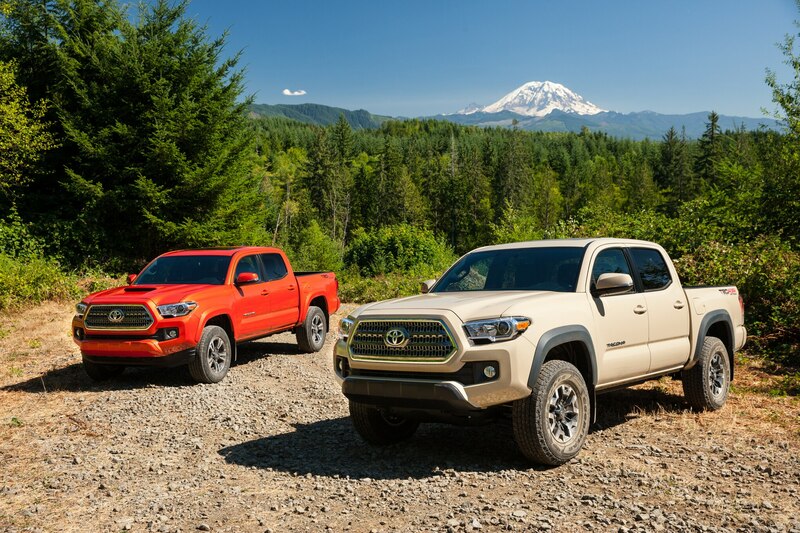 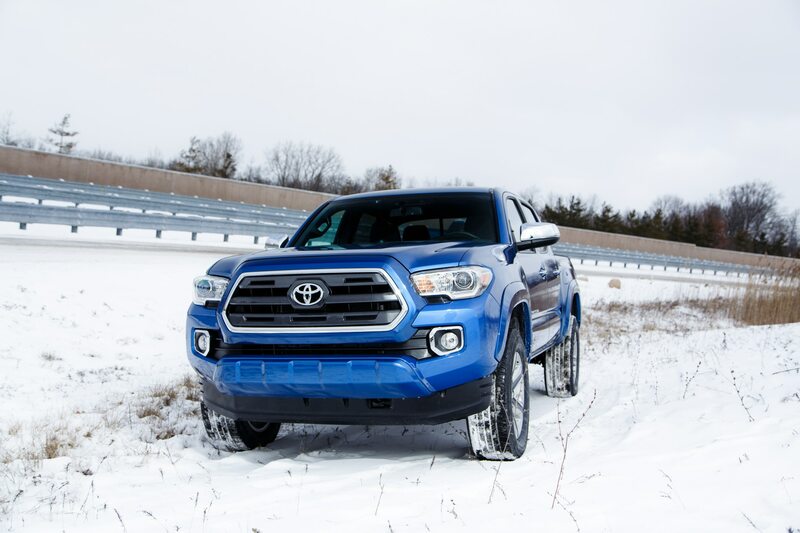 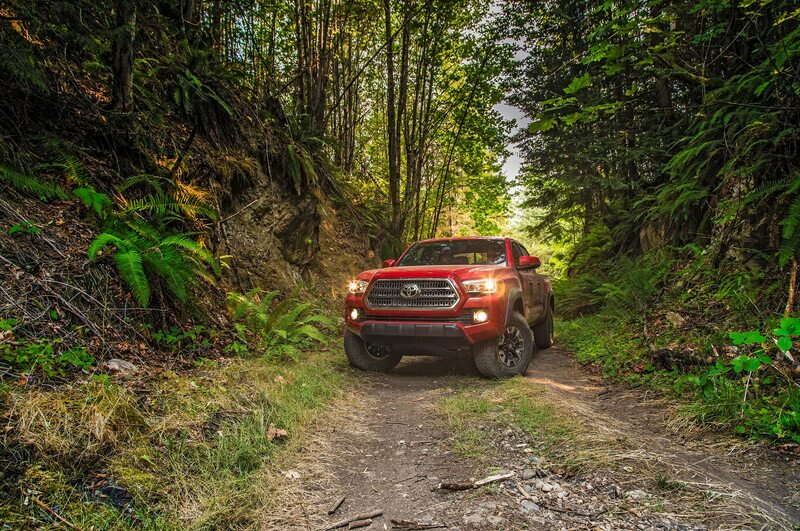 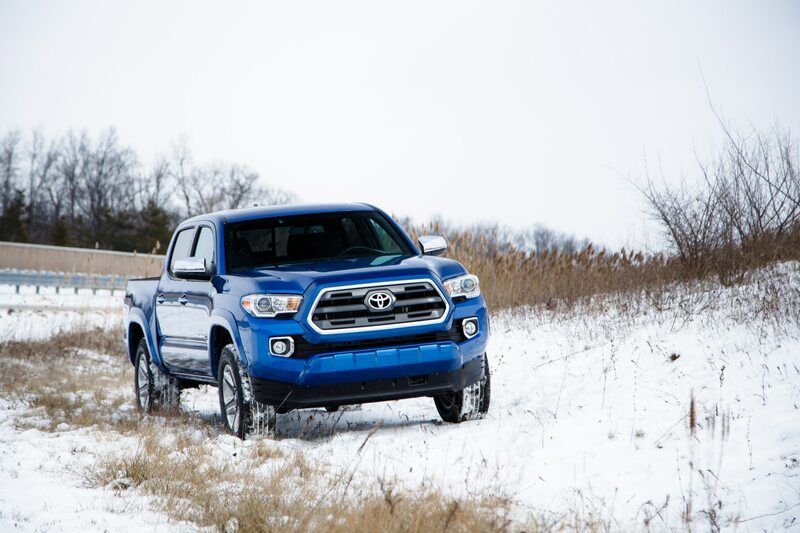 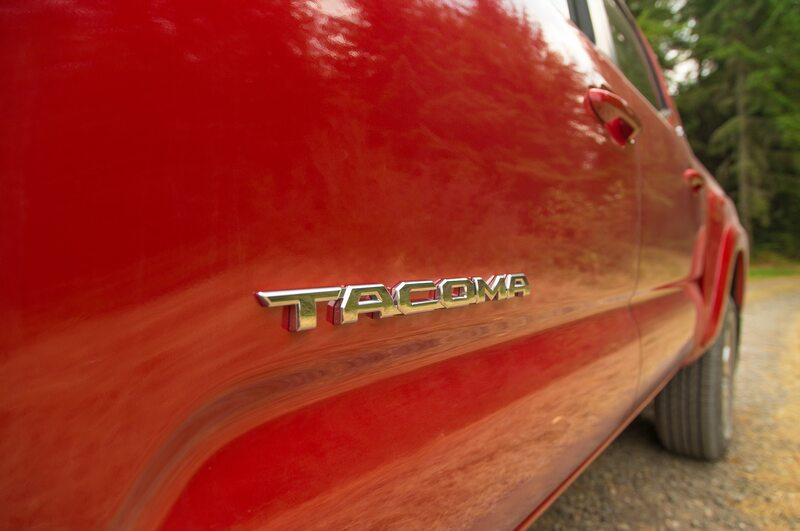 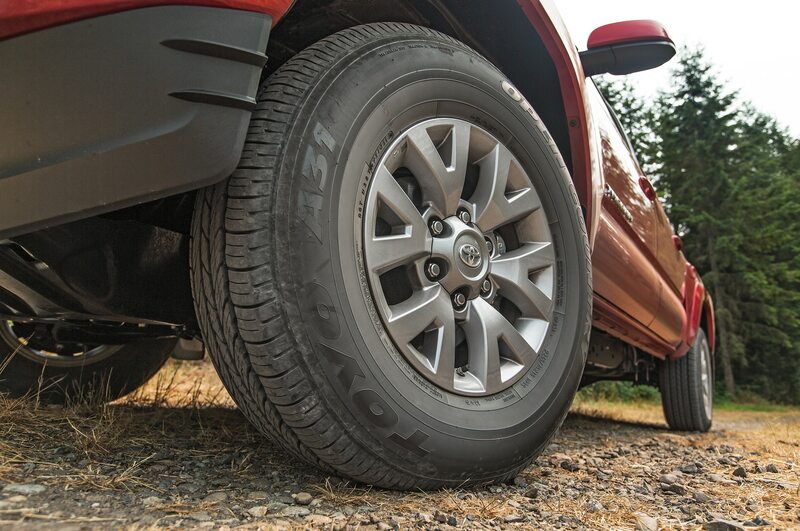 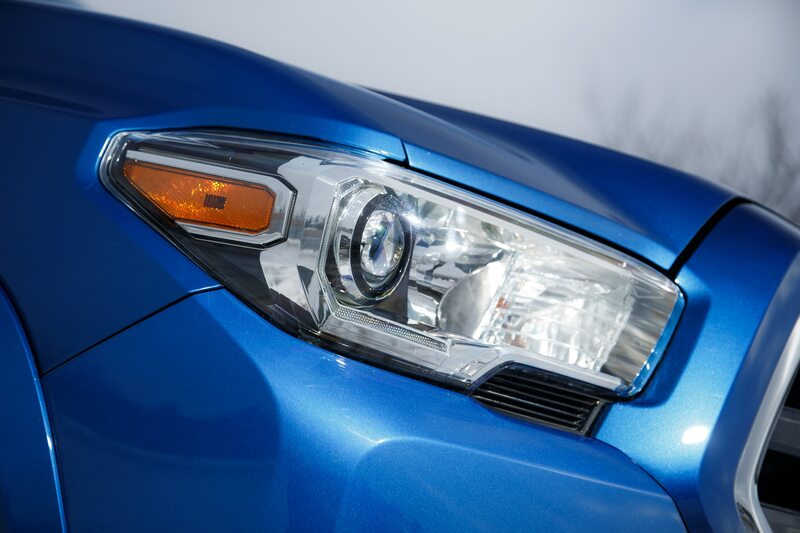 Compared to the competition, the Tacoma costs a pretty coin in standard configuration. 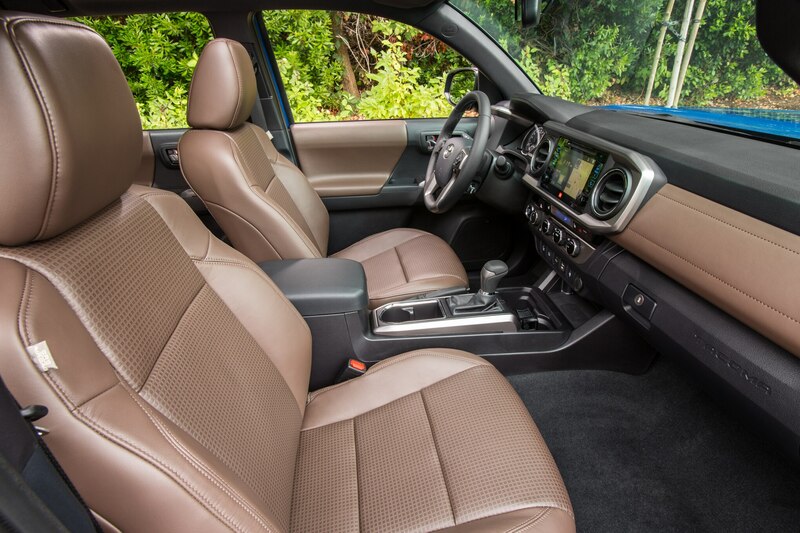 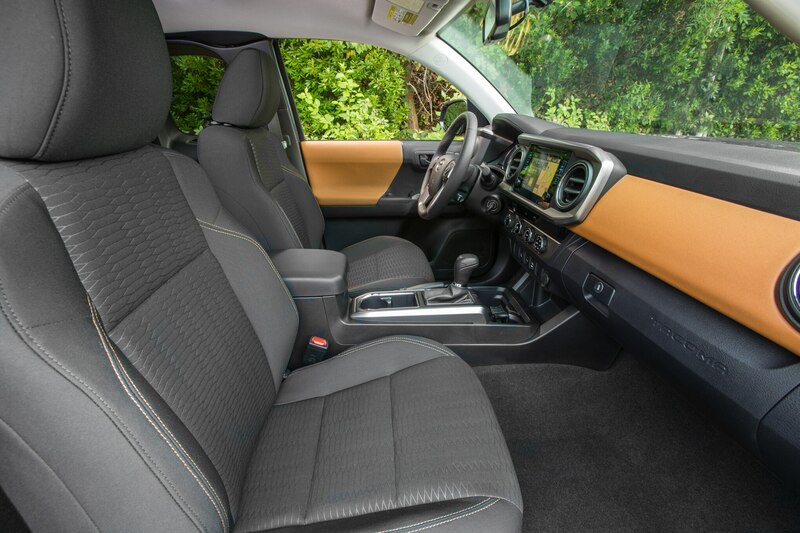 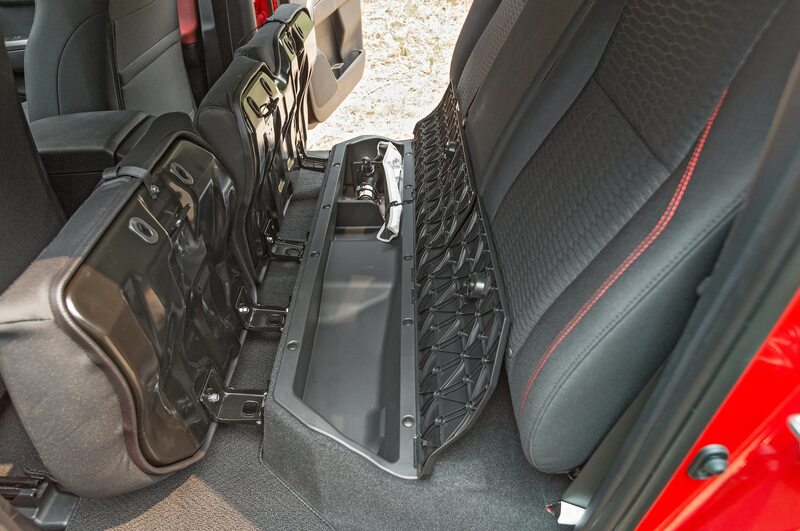 The 2016 Chevrolet Colorado starts at $20,995 with a standard 2.5-liter four, six-speed manual, and long bed. 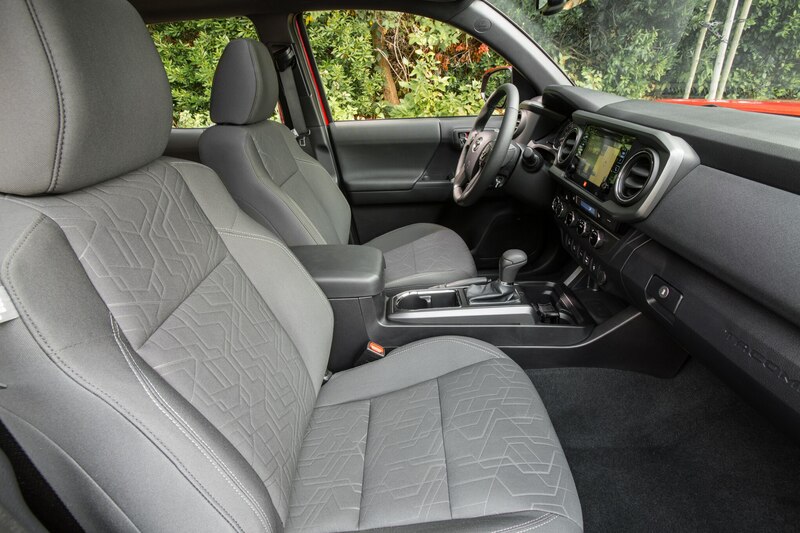 Meanwhile, the aging Nissan Frontier begins at just $18,875 for the King Cab, five-speed manual, four-cylinder version.